The post The Potential Indian Olympian Who Left Swimming For Engineering appeared first on ScrollDroll. Winning a gold at Olympics may bring you loads of glory, but not enough money if you are an Indian athlete and that’s a fact that not many tell you about. Truth is that not every sport here in our country gets the same amount of attention as cricket. Most sports such as swimming fail to get the acceptance they deserve because sponsors prefer sports like cricket which are loved and watched by the masses. Kutraleeswaran—a Guinness Book record holder in swimming—fell prey to a similar ordeal when he was denied resources and eventually gave up the sport he was so passionate about. 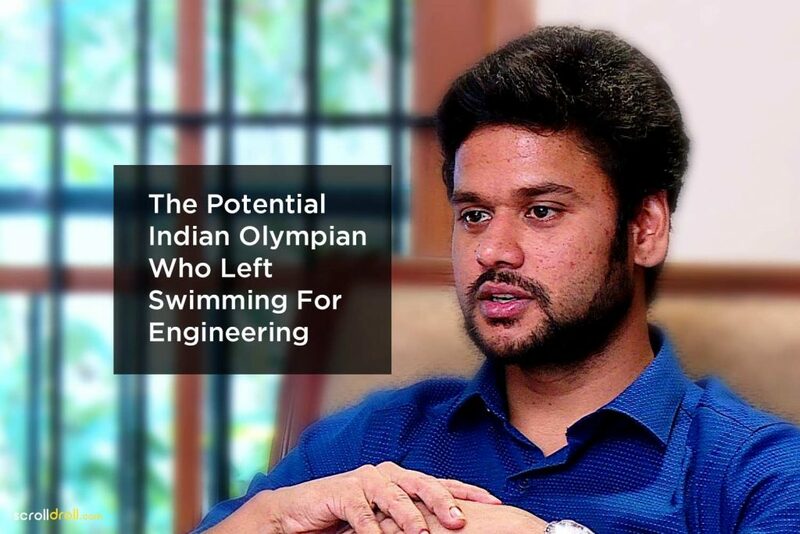 Why this potential Gold medallist quit competitive swimming and became an engineer? Let’s find out! Born in Tamil Nadu, Kutraleeswaran was passionate about swimming all his life. At the early age of 13, Kutral swam the Six Channels in the record time of one calendar year and his name was put in the Guinness Book of World Records. 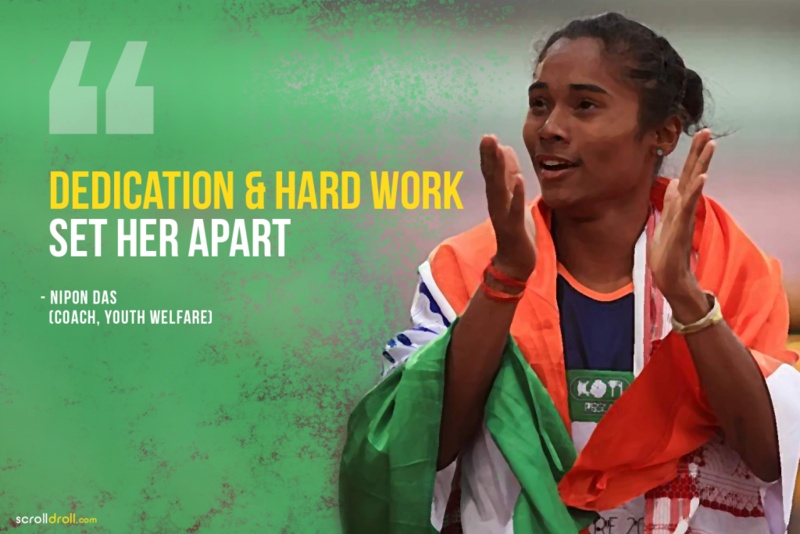 Kutrallater went on to win an Arjuna award for breaking the record and dreamt of winning an Olympic gold medal for the country someday. Needless to mention, Kutral performed remarkably in competitive swimming. 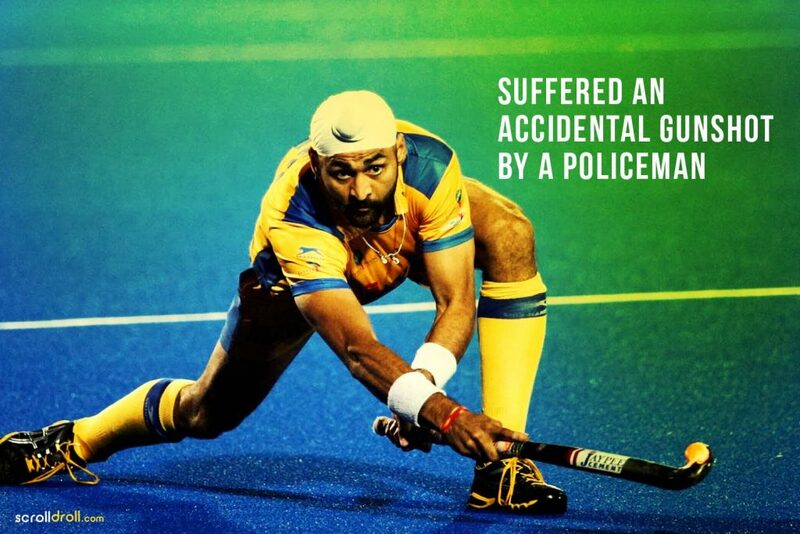 But his dream to represent India in the Olympics could never be fulfilled. It’s not because he started performing poorly or suffered an injury, but because nobody would sponsor him. Kutral belonged to a middle-class family and wasn’t able to finance his trips to international competition. When he was 16, he decided to participate in a competition in Germany and luckily, managed to find himself some sponsors. But unfortunately a night before leaving for Germany, his sponsors backed out and Kutral couldn’t make it to the competition. He was heartbroken. The thought of giving up what you love is heart-wrenching. Kutral must have felt a similar pain when he decided not to compete anymore. In 10th standard, he was a cognizant young boy who knew what’s best for him financially. 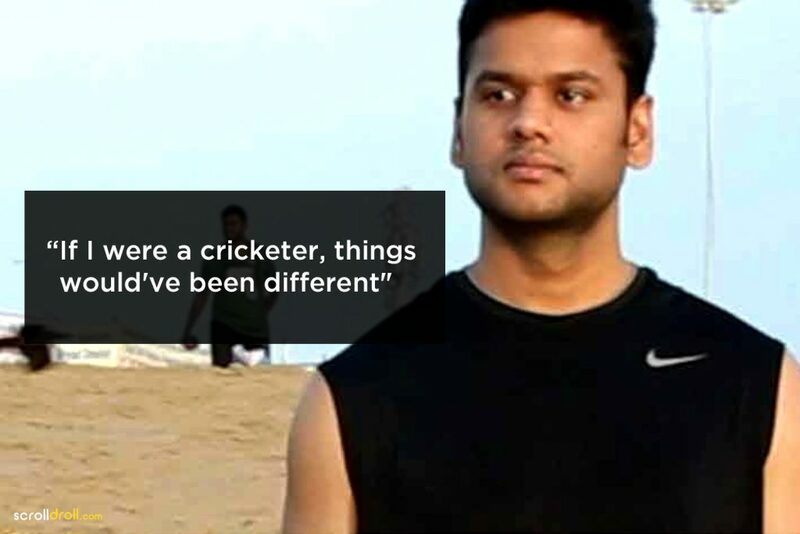 He figured that an impressive sports background won’t land him a lucrative job. He had to concentrate on his studies because professional swimming wasn’t doing him any good and without sponsors, his international tours were a burden on his family. So he decided to cut down on his tours. His family was against him going to sponsors for money, his father strongly supported his son’s passion and was hopeful that Kutral would again take up competitive swimming after 12th standard. He was always ready to pay for his son’s tours but it was Kutral who didn’t want to be a financial liability to his family and took up engineering as an alternative to swimming. He went to the United States to get his masters, later an MBA from Massachusetts Institute of Technology and that was the end of his career as a competitive swimmer. When asked, would things have been different for Kutral had he excelled in a sport such as a cricket, he responded with a resounding yes! Also, he hopes that every sport in India gets a fair shot in the future. 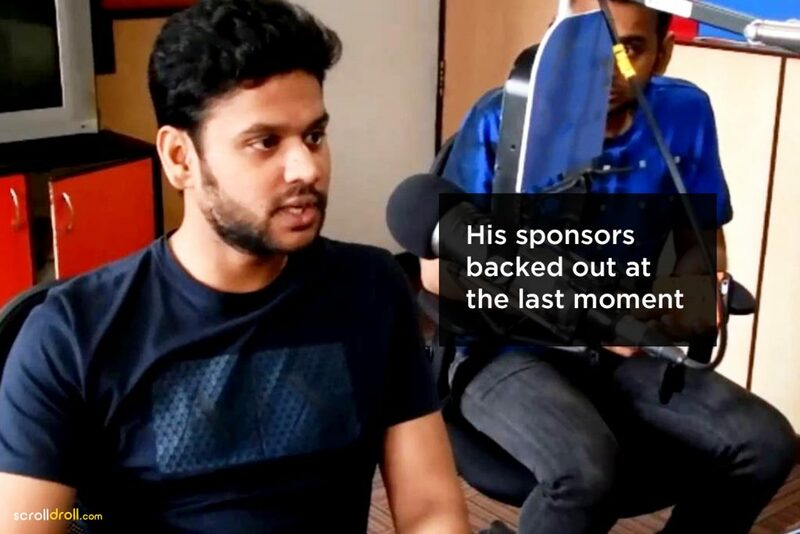 It’s frustrating to see how a talented swimmer gave up his passion because of lack of sponsors. The moral of Kutral’s story is that if our nation wants to grow in the world of sports then it must break the status quo and provide adequate resources to all sports and not just cricket. Do you think we lost a potential Olympian because our country has a one track mind? 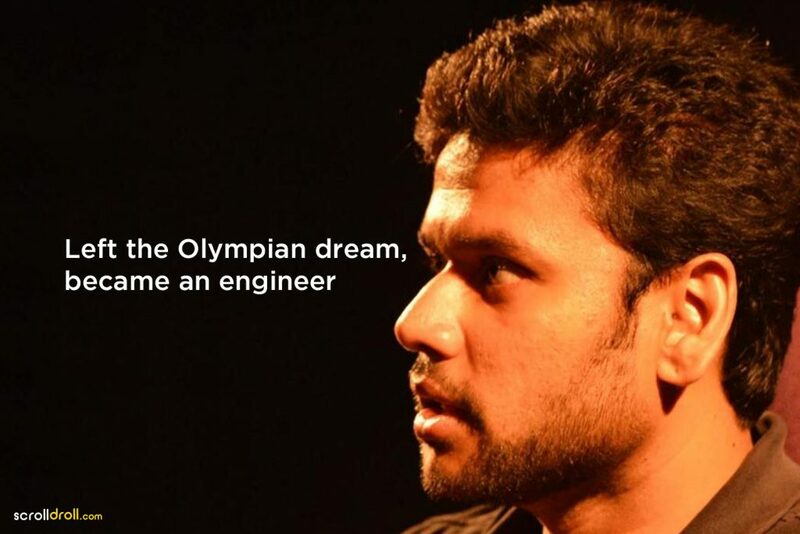 Let us know what you have to say about the potential Olympian-engineer of India. The post 10 Brilliant Sports Achievements Post Independence appeared first on ScrollDroll. On the 72nd Independence Day, everyone is soaring high with national pride. With each passing year of sovereignty, India evolved exponentially. Looking back at how far the nation has come and the challenges it faced to grow, we can’t help but reiterate the history that boasts of heroism & allegiance. 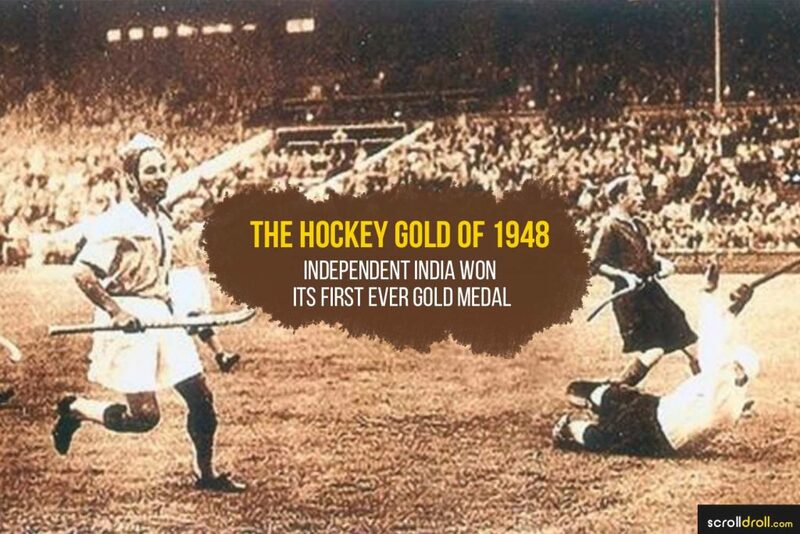 After winning three Gold medals at Olympics pre-Independence, Indian Hockey team went on to clench first independent Gold for the nation at 1948 London Olympics. 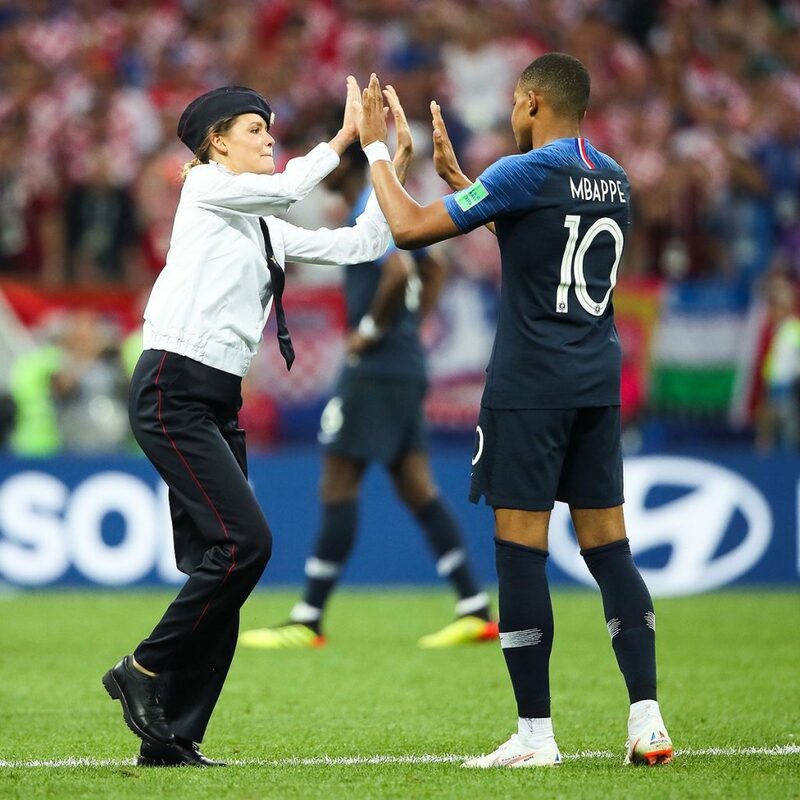 With a triumph of 2-1 over England, they garnered world-wide praise. 2018 proved to be a prolific year for Indian football. 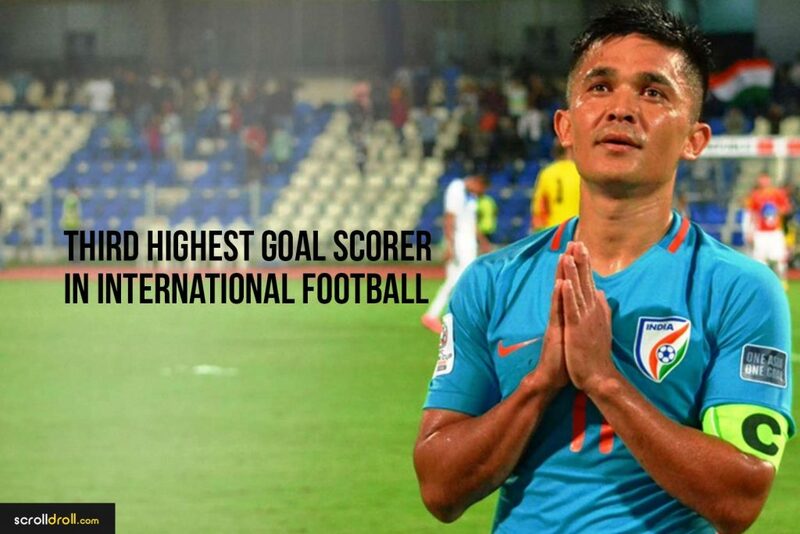 With Chhetri leading the team to many wins and becoming the 3rd highest international goal scorer, the future of Blue Tigers seems to be in right hands. 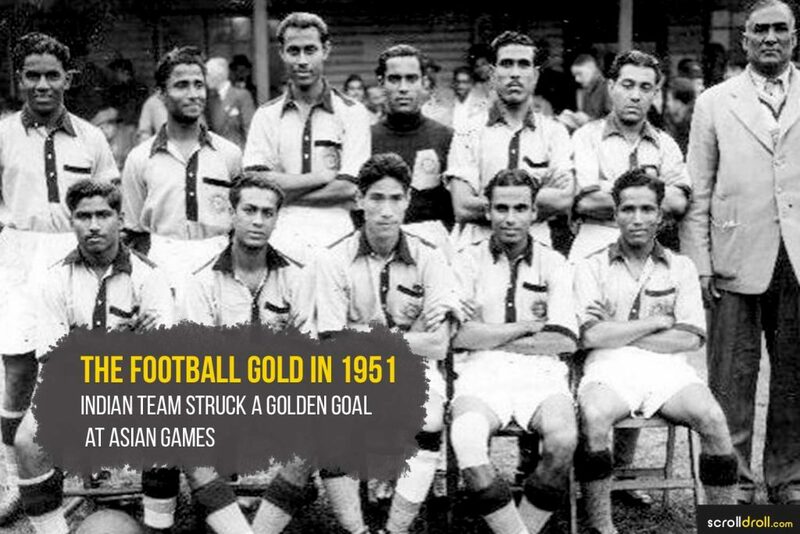 Although, the biggest moment in Indian football surfaced when it won a gold medal in the Asian Games of 1951. It was Syed Abdul Rahim who helped achieve this feat and made the nation proud. 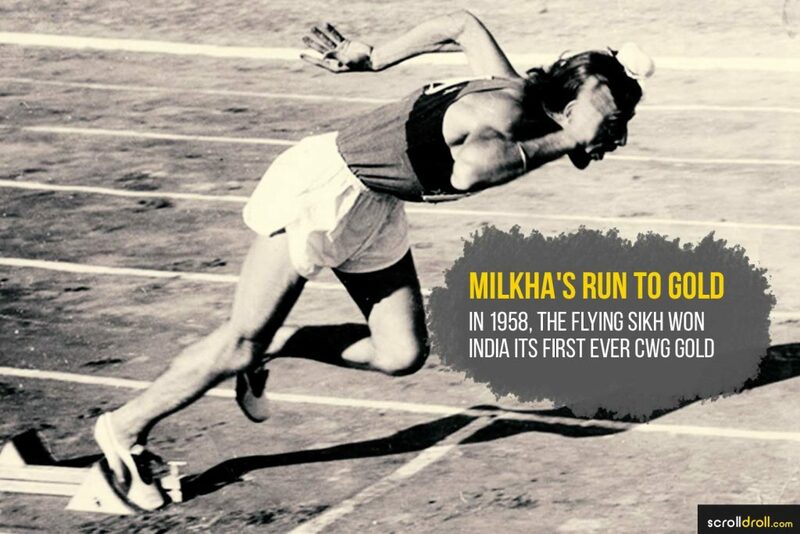 The first Indian to grab a gold at Commonwealth Games was nation’s beloved Milkha Singh. 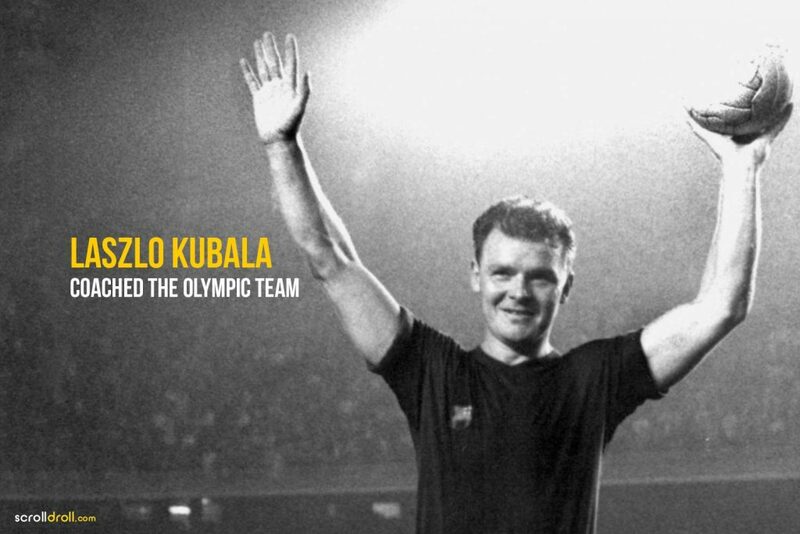 In 1958 CWG, he ran the fastest and achieved this remarkable feat in the 440 yards category. This initiated his dominance in sprinting and also earned him the title “Flying Sikh”. At the tournament of the greatest, Wimbledon, Ramanathan Krishnan etched a victory that still goes untouched. 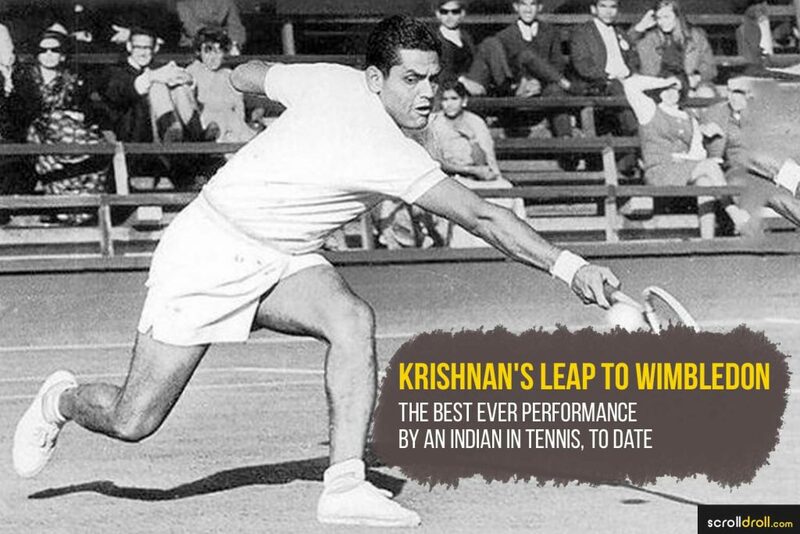 He became the first and only Indian to reach the semi-finals of the Grand Slam of Tennis in 1960. 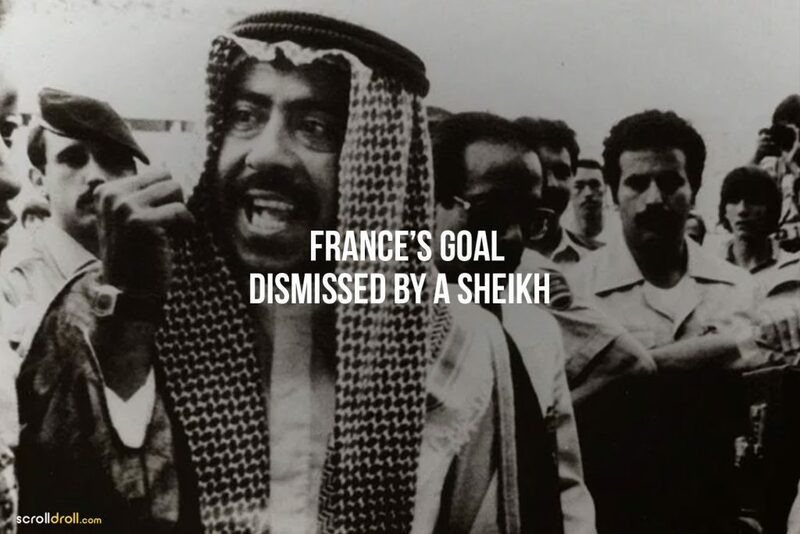 He repeated this unprecedented triumph in 1961. 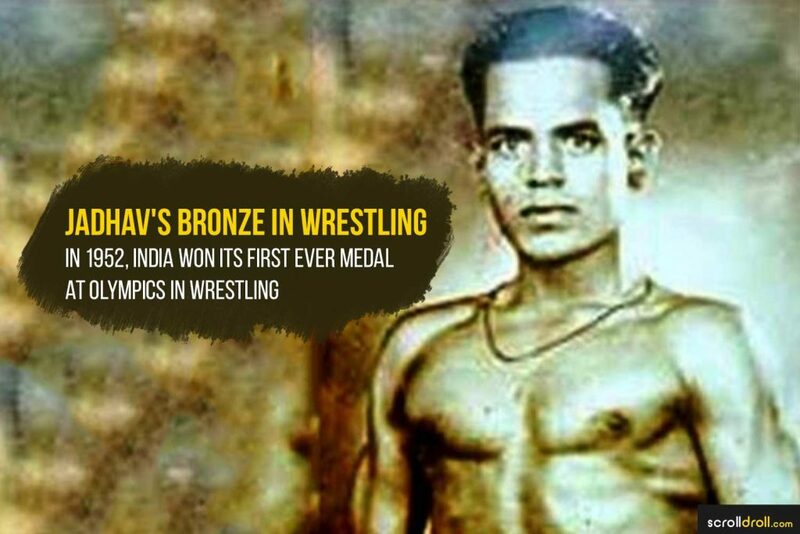 Garnering nation its first medal in wrestling, KD Jadhav was one of the first Indian athletes to clench a Bronze at Olympics. He engraved this win in the games of 1952, held in Helsinki. The game that nation lives now, was gradually gaining prominence back in 80s. 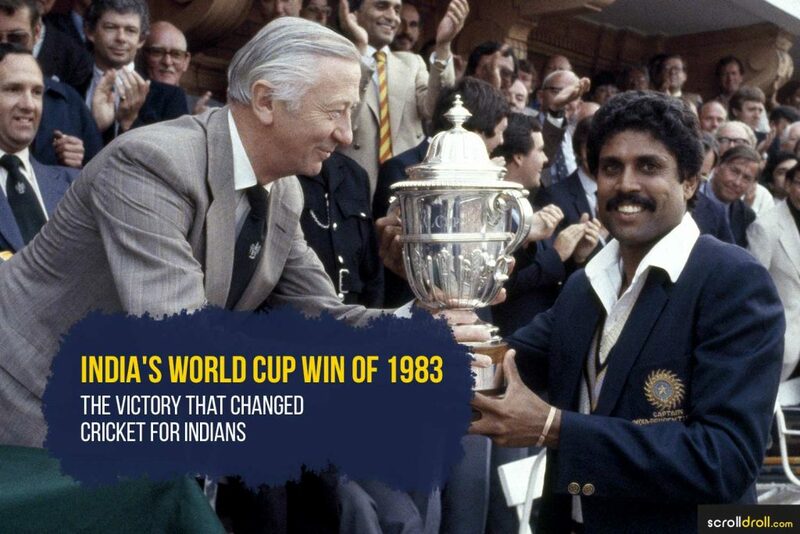 In 1983, India (led by Kapil Dev) ferociously beat West Indies in the ICC World Cup. This massively increased cricket fandom & made it the most beloved game of the nation. 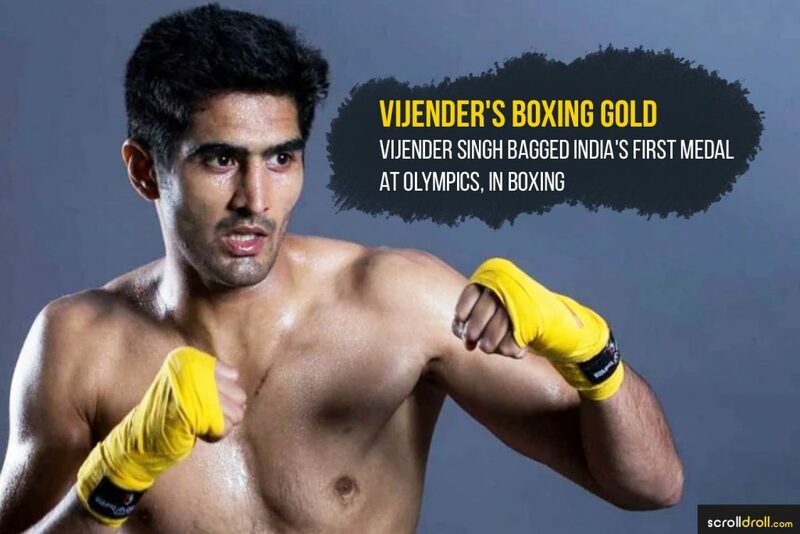 India’s account in the gold medal column in boxing was opened by Vijender Singh. In the 2008 Beijing Olympics, Singh pulled off a Bronze and became a superstar in this sport. 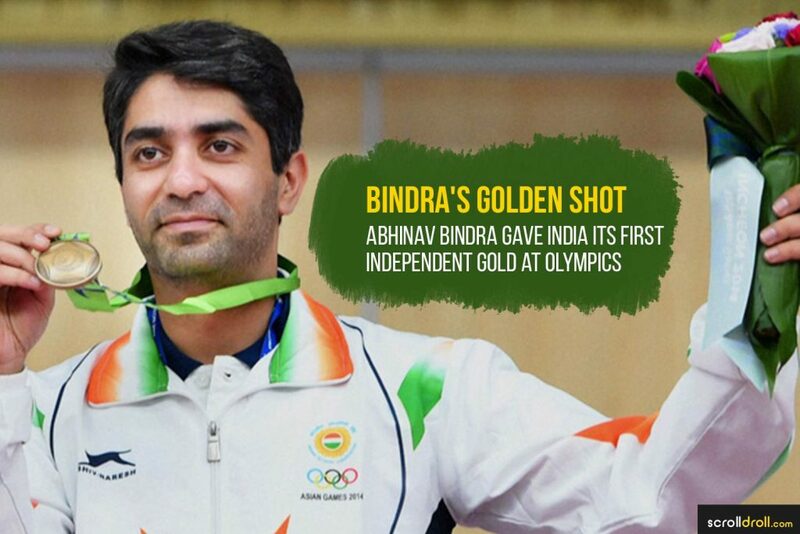 One of the proudest moments in India’s sporting history came when Abhinav Bindra won a gold in the Olympic games of 2008. He showed consummate technique at 10m air rifle shooting event and achieved one of the rarest achievements by Indian athletes. Also known as Million Rupee Baby, Mary Kom did the nation proud when she won a Bronze in boxing at the London Olympics of 2012. Her feat was ever more remarkable because she was the first lady boxer to do so! 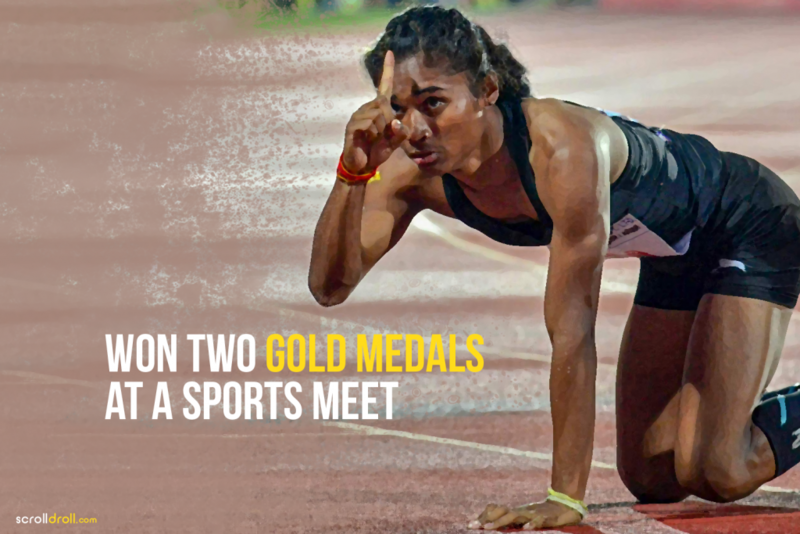 Hima Das rose to international fame when she grabbed a Gold at the World Under 20 Athletics Championship, 2018. 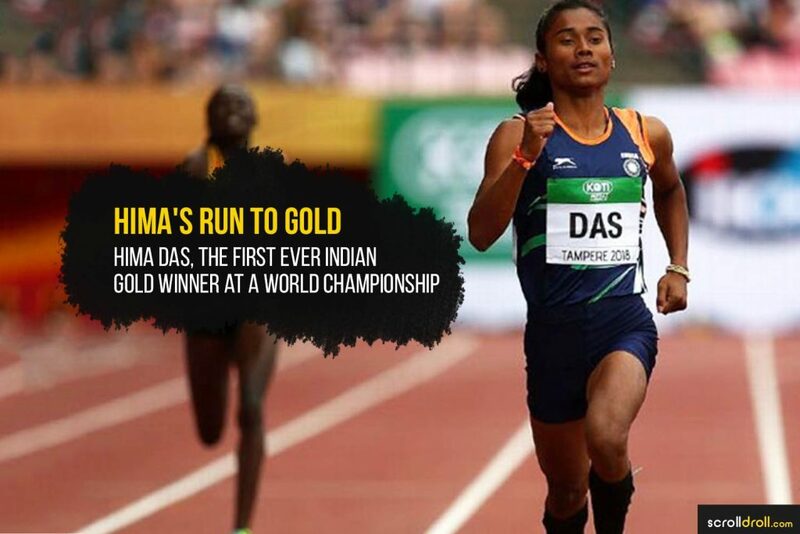 The audacious Assamese sprinter made this powerful victory at the age of 17 and became the first Indian to bag a Gold at a World Championship. These were just a fraction of many masterful achievements in India’s sporting history, as there are still lots of sportsmen/women who shone brighter than any medal. It’s wonderful to see how some extremely challenging milestones were fiercely tackled by these athletes. The passion and conviction that run in their blood reflect the respect & love they have for the game and the country. 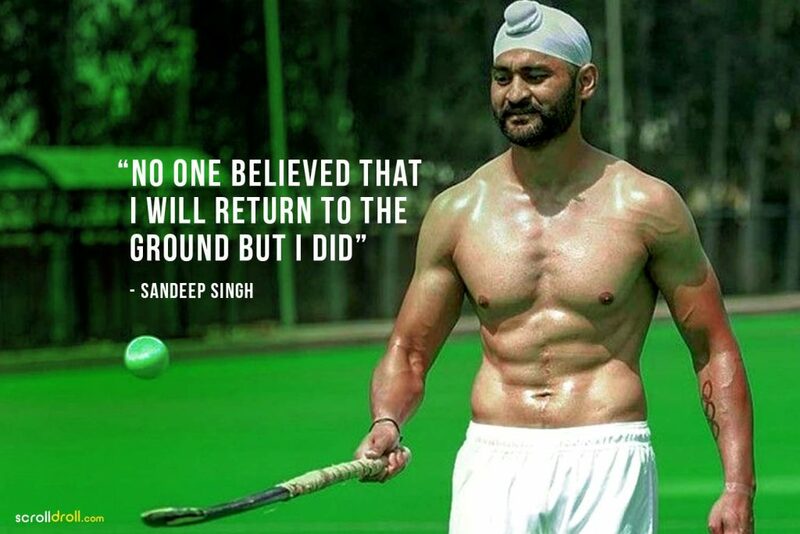 The post Sandeep Singh: The Hockey Legend Who Inspired Diljit’s Soorma appeared first on ScrollDroll. The post Cricketers Who Faced A Tragic End To Their Career appeared first on ScrollDroll. How would you feel if you’ve to give up your career or passion one day? Surely, it won’t the best feeling; maybe, you’ll feel like your world has gone upside down. Imagining it is one thing but going through such ordeal, must be a whole different deal. Even the world of cricket isn’t spared by such tribulation, there are many terrific sportsmen whose career faced the saddest of endings. Be it suffering injuries or facing team politics, these cricketers parted from the game too soon and left their fans broken-hearted. 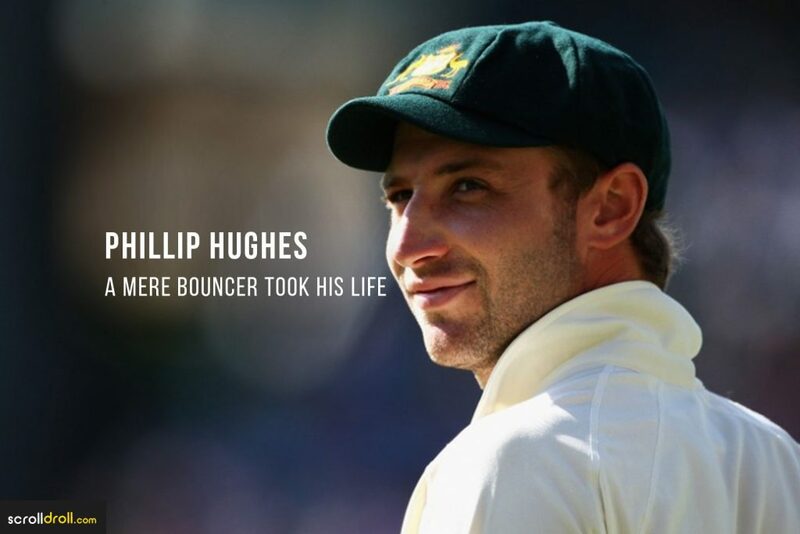 So we bring you 13 cricketers who faced a tragic end to their career. 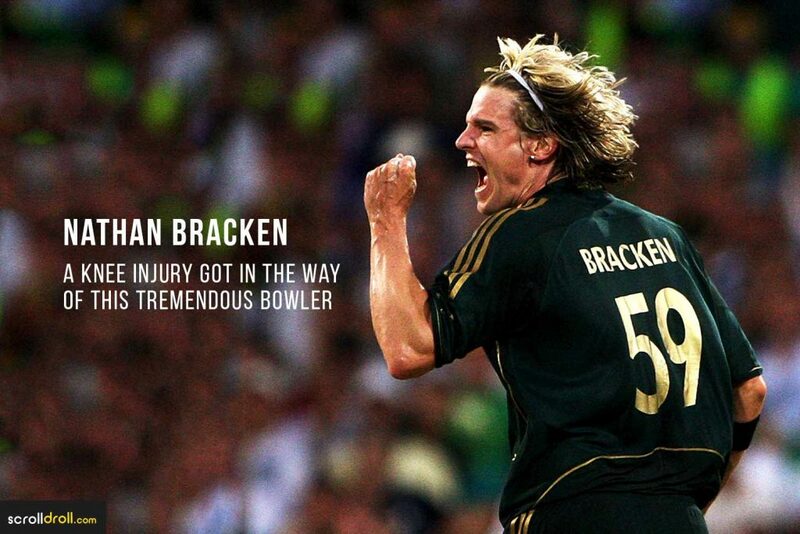 Once ranked World’s No.1 bowler, Nathan Bracken had to end his career due to a chronic knee injury. After playing his last ODI in 2009, Bracken succumbed to his painful fate and got ruled out of the ICC Champions Trophy. 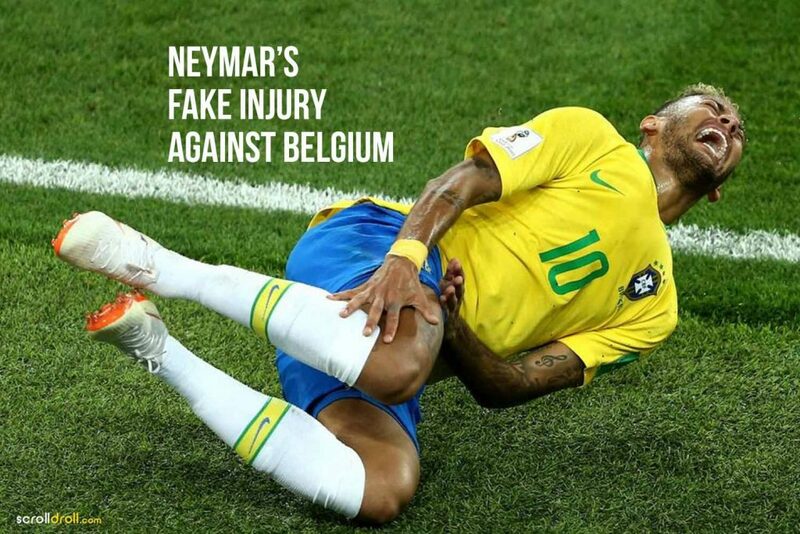 Even after rigorous treatment, his knee didn’t get any better; and in 2011, he announced his retirement. But the Australian pacer didn’t retreat in silence, he sued Cricket Australia for faulty medical care. 2. What made this jolly good fellow retire? For a person as “high on emotions” as Siddhu, retirement was ever more saddening. It’s reported that he fell prey to “team’s politics”. One source revealed that he felt heartbroken when Wadekar picked another player over him and called Siddhu unfit. Another source told that Azharuddin made sure that Siddhu doesn’t qualify for World Cup. 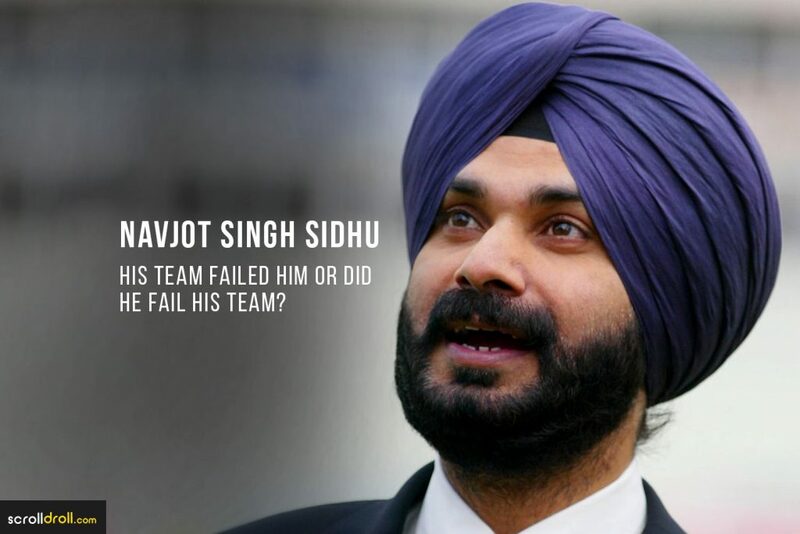 It’s unclear what forced Siddhu to bid farewell to cricket when clearly he could’ve played many more matches in future. Nobody for sure knows what caused this cricket legend to retire. 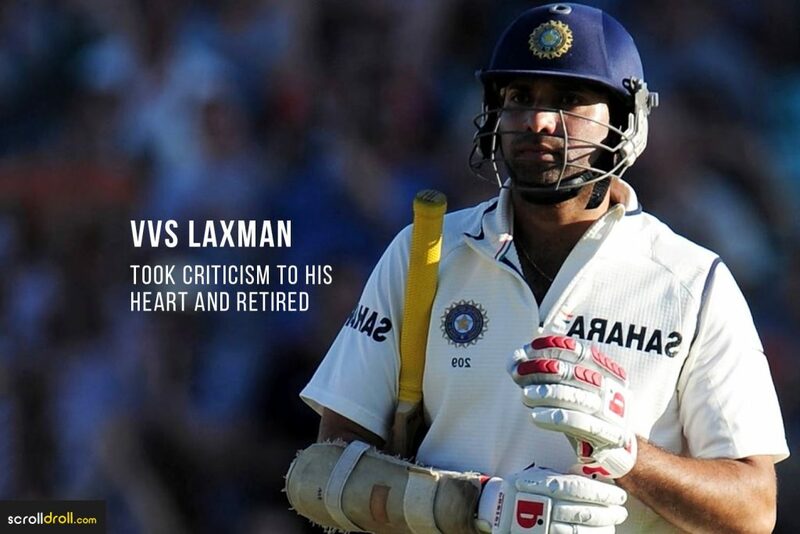 Sources reveal that during India’s Australian tour of 2011, Laxman didn’t perform up to the expectations and scored only two half-centuries in eight innings. After this series, media and former cricketers started remarking that it was time for “players of age” to consider retirement. Reportedly, Laxman took this to heart and withdrew from cricket, despite getting selected for the upcoming New Zealand series. 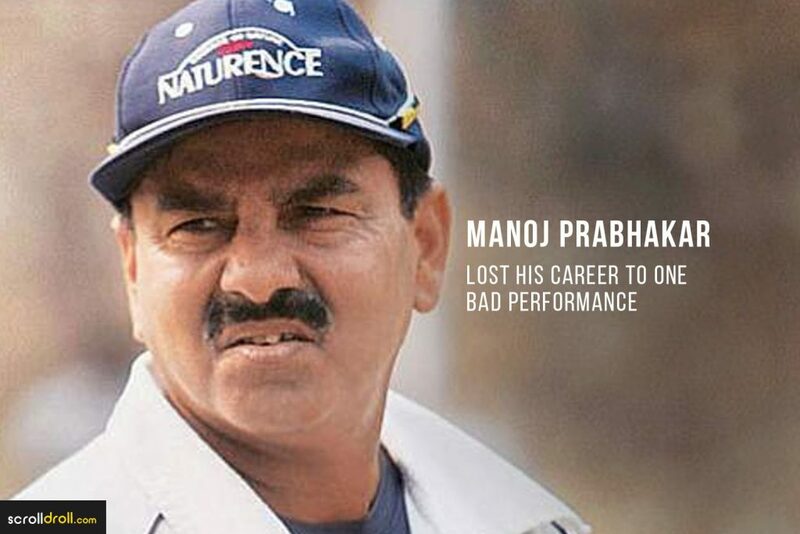 Remembered for his out swingers and slow balls, Manoj Prabhakar grievously retired from cricket. During 1996 World Cup, he was not picked by the selectors due to his poor performance in one match against Sri Lanka—where he gave away 33 off two overs. This left Prabhakar dejected who felt that he was judged on his one bad performance by the same people, who lauded him otherwise. Frustrated by this, he decided to walk out on his passion! 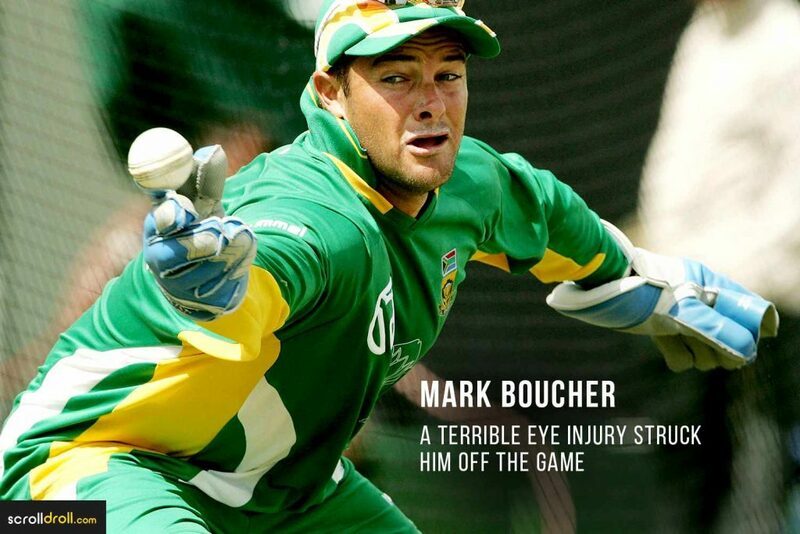 South African cricketer, Mark Boucher, went through an unexpected retirement after a dreadful eye injury. During his team’s tour match against Somerset, Boucher was wicket keeping when the tragedy struck. Imran Tahir bowled a googly which hit the stump and caused a bail to fly, and hit Boucher in the eye. Writhing in pain, he was immediately taken to the hospital and was later diagnosed with lacerated eyeball. 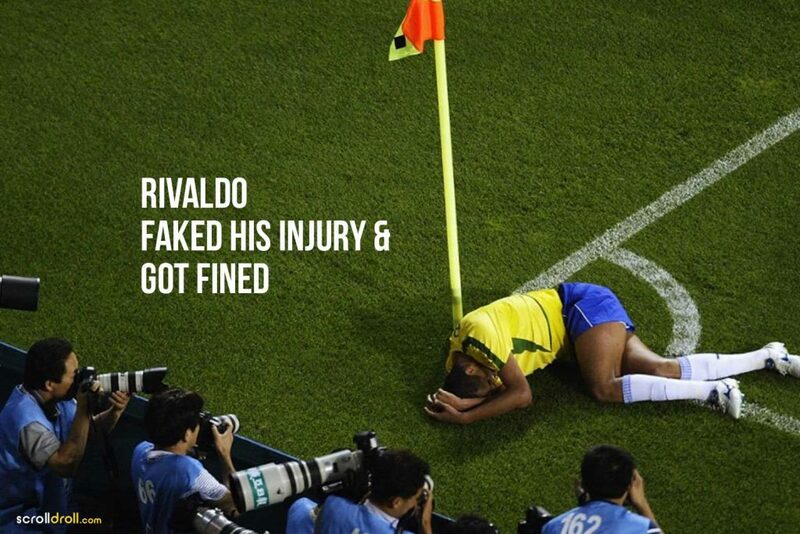 After sustaining a 3-hour-long surgery, he soon announced his retirement. Australian opener, Phillip Hughes, scored his first test century at the age of 20. Little did he know, after 5 years he’ll lose his life in a mere bowling accident. In 2014, during a match between South Wales and South Australia, Hughes faced Sean Abbott’s bouncer. Tragically, he attempted a hook-shot and missed, got hit by the bowl below his ear (the area not protected by the helmet) and then collapsed on the ground. He was immediately taken to the hospital for surgery and later succumbed to coma, from which he never woke up. His cause of demise was later revealed to be subarachnoid hemorrhage. 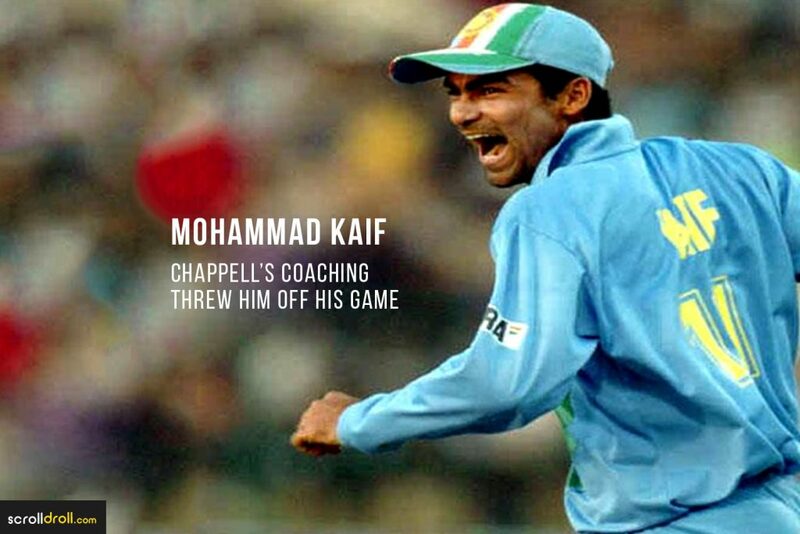 Winning everybody over with his brilliant leadership in Junior World Cup of 2000, Mohammed Kaif faced more ups than downs in cricket. After making a test debut at the age of 20, he quickly gained recognition for his outstanding fielding. In 2002, he rescued India out of England’s clutches by scoring 87 runs and helped the team triumph a score of 326. But under Greg Chappell’s coaching, the home team changed its batting order too frequently. This adversely impacted Kaif’s average and strike rate, and eventually he was dropped out of World Cup 2007. He played his last international match at the age of 26 and retired from all forms of cricket in 2018. 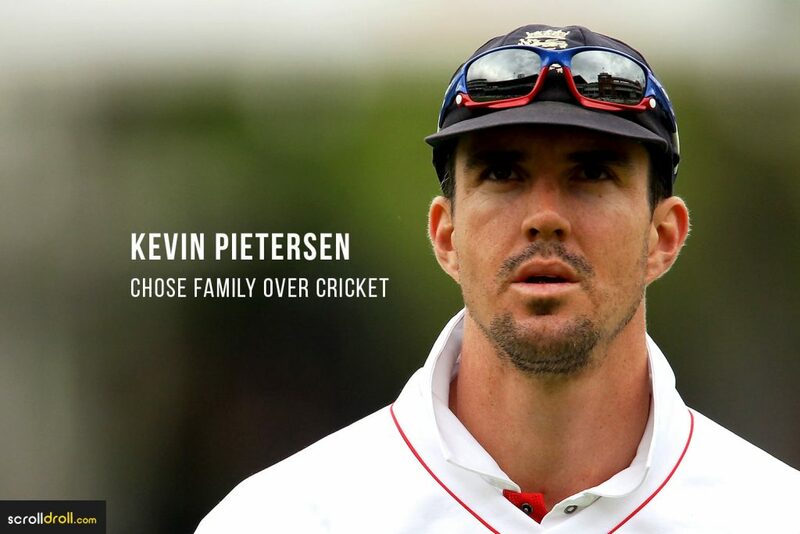 With Times calling him “the most complete batsman in cricket” and The Guardian referring to him as “England’s greatest modern batsman”, Kevin Pietersen played masterfully throughout his career. Surprisingly, in March 2018, Pietersen decided to retire from the sport. He did so through Twitter and Instagram, thanked his fans as well as his family for an ultimate run in cricket. He felt that it was time for him to move on and prioritise his family. His sudden exit from the game left his fans heartbroken and emotional. Famous for pioneering “doosra”, Saqlain Mushtaq is still regarded as one of the best spin bowlers ever. With more than 280 ODI wickets in his name, Mushtaq faced an abrupt end to his career. He was feeling excruciating pain in his knees and had to get both of them operated. Also, Mushtaq relied heavily on “doosra’; eventually batsmen figured it out and Saqlain lost his form. The unfortunate injuries and lack of innovative bowling technique must have urged him to take a step back from cricket. Zimbabwean fast bowler, Henry Olanga, faced an early end to his international career. 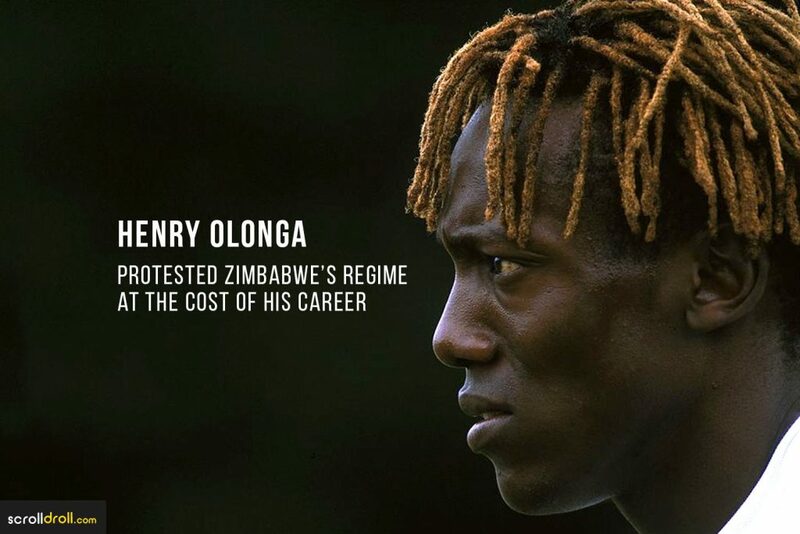 During 2003 World Cup, Olanga wore a black band and issued a statement to protest against the death of democracy in Zimbabwe. This complicated things for Olanga, personally and professionally. Furthermore, authorities from his country had come to arrest him for treason, he managed to dodge them. To play for Zimbabwe would have been contradictory to his agenda and hence, he announced his retirement. 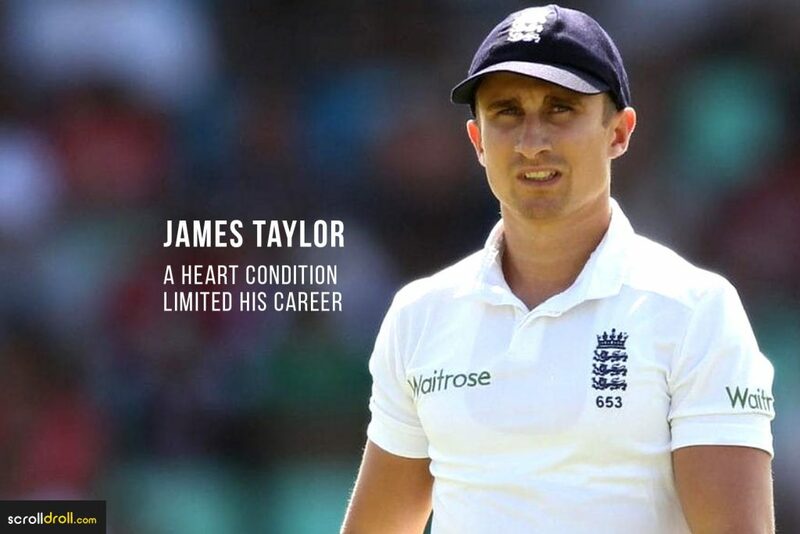 James Taylor, a tremendous fielder, was forced to step into retirement due to an insidious heart condition “arrhythmogenic right ventricular cardiomyopathy”. This English cricketer played for Nottinghamshire and England. After going through an operation for his condition, he got a defibrillator fitted which managed his heart rate. In order to keep his health intact, Taylor parted from cricket at just 26. 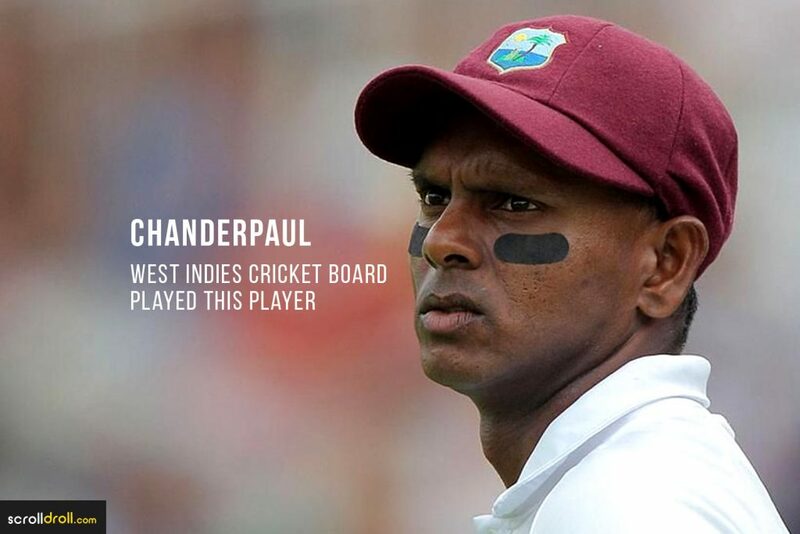 Former West Indies Captain, Chanderpaul is an exemplar of how national boards rule sportsmen. This Indo-Caribbean cricketer ranks at no. 8 amongst world’s highest run scorers, yet were forced to retire by the West Indies Cricket Board. The country issued him a No Objection Certificate only if he retired on a particular date. When that day came, Chanderpaul abruptly bid goodbye to international cricket at the age of 41. And now, he plays for his domestic team—Guyana. 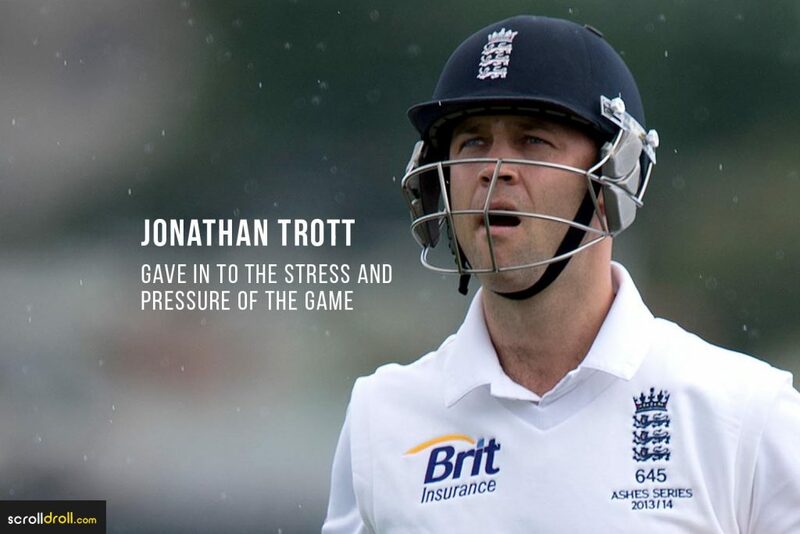 Australia’s former top-order batsman, Jonathan Trott, unexpectedly announced his retirement after losing a series to West Indies in 2015. He struggled to perform well in this tournament and later revealed that he was facing anxiety issues and unmanaged stress. These mental health problems forced him to leave international cricket. Looking at these terrific players, we realise that the worst can happen to the best of us. Be it leaving the game forcibly or voluntarily, when these cricketers bid farewell to the game it was emotional for them and their fans alike. We can’t help but miss them on the pitch. The post The Incredible Sprinter- Hima Das appeared first on ScrollDroll. 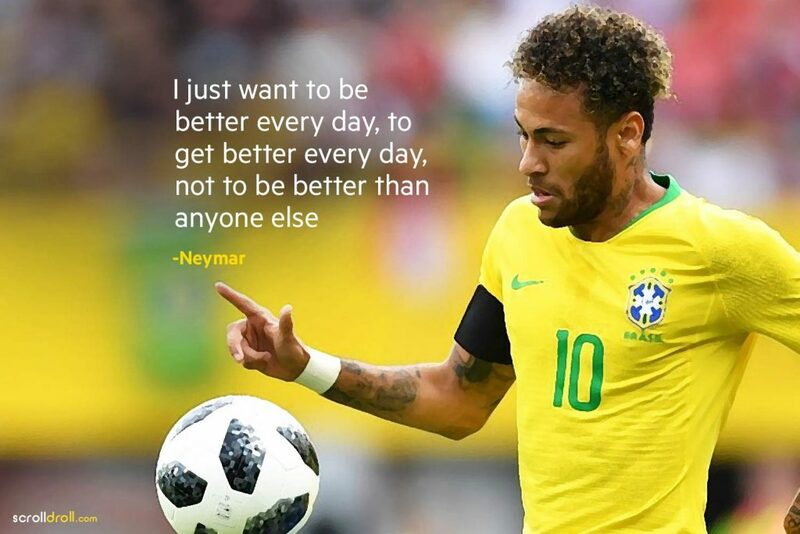 The post 10 Quotes From Football Legends That Will Spark Your Motivation appeared first on ScrollDroll. 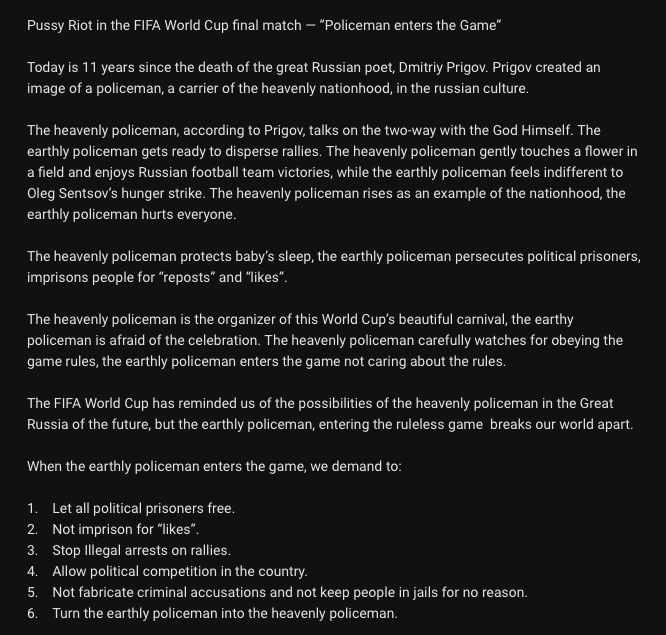 The post 10 Football Legends Who Never Played In The World Cup appeared first on ScrollDroll. Arguably, the biggest stage for a footballer to showcase his talent is FIFA. With this year’s World Cup nearing end, we just can’t keep calm! Often we debate, who is the best, who has scored the most and who has earned the highest caps? Usually, we come up with 2-3 names such as Ronaldo, Messi etc. 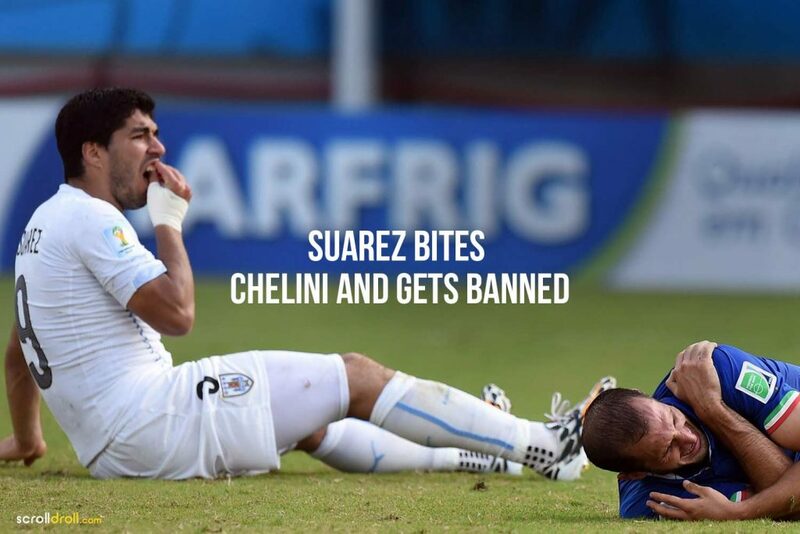 They are widely recognised cause of their FIFA appearance. 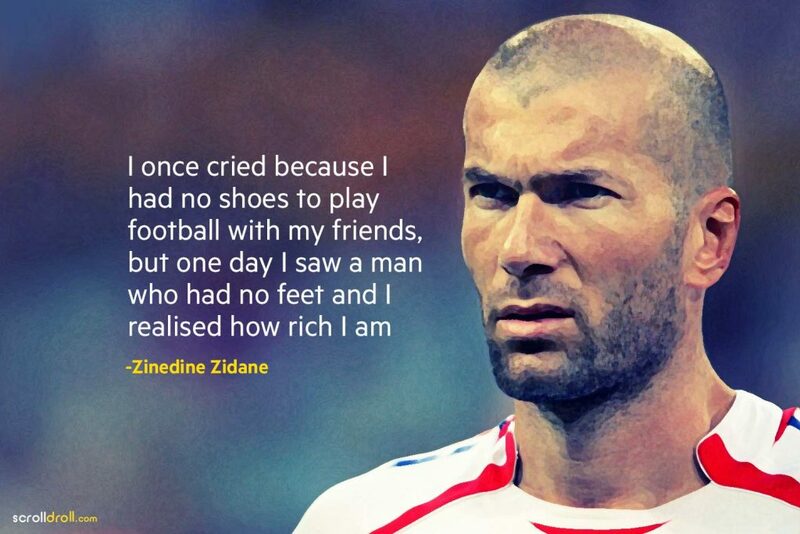 But there are so many football legends, which you might have heard of, never got a chance to play the World Cup. Here are 10 such footballers, who despite their impeccable record, failed to live their biggest dream! 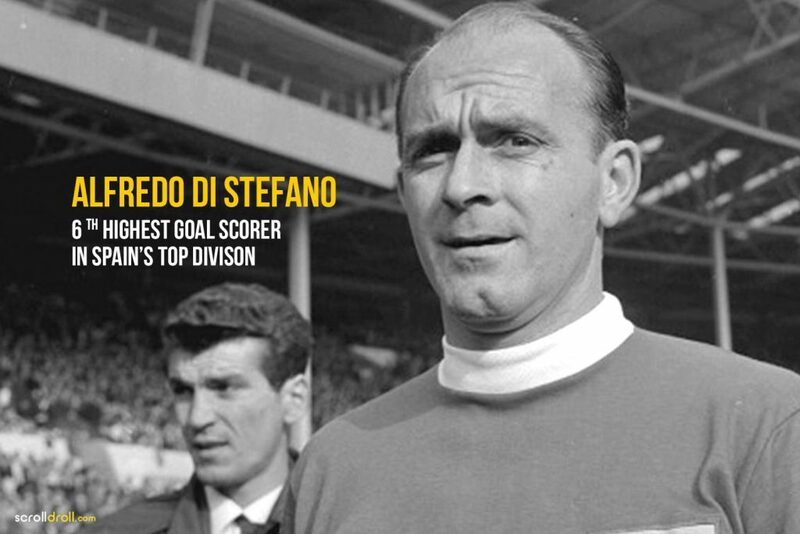 Often cited as the greatest player of all time, Di Stefano never played in World Cup. Usually mentioned among Puskas, Beckenbauer, Pele, and Messi, Stefano was the most vital player of Real Madrid in 1950. 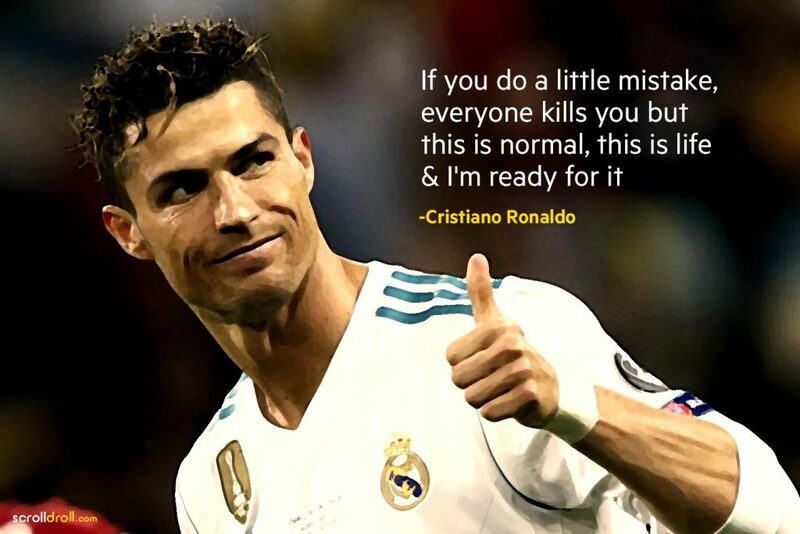 With 216 goals in 282 league matches, he’s the sixth highest scorer in the history of La Liga. 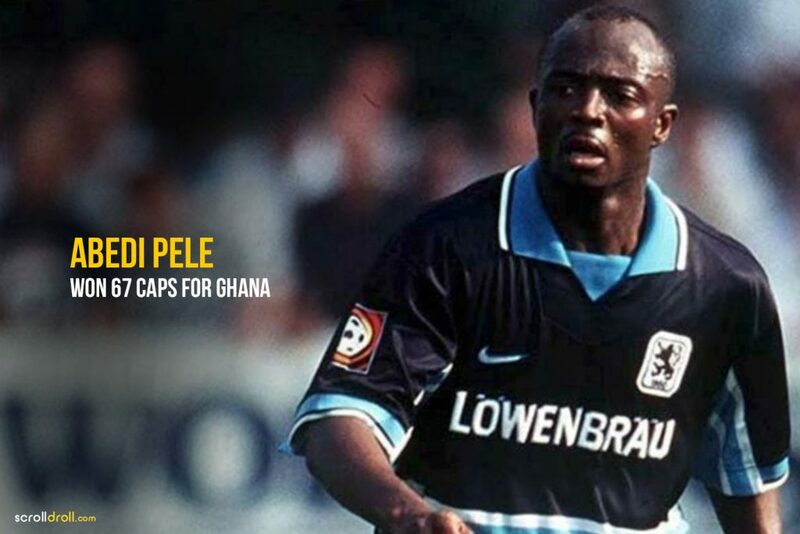 Still considered one of the greatest African players, Abedi Pele won several league titles. He also won 67 caps for Ghana and the African Cup of Nations, but unfortunately couldn’t make his team reach the World Cup. Six years after his retirement, Ghana qualified for FIFA. 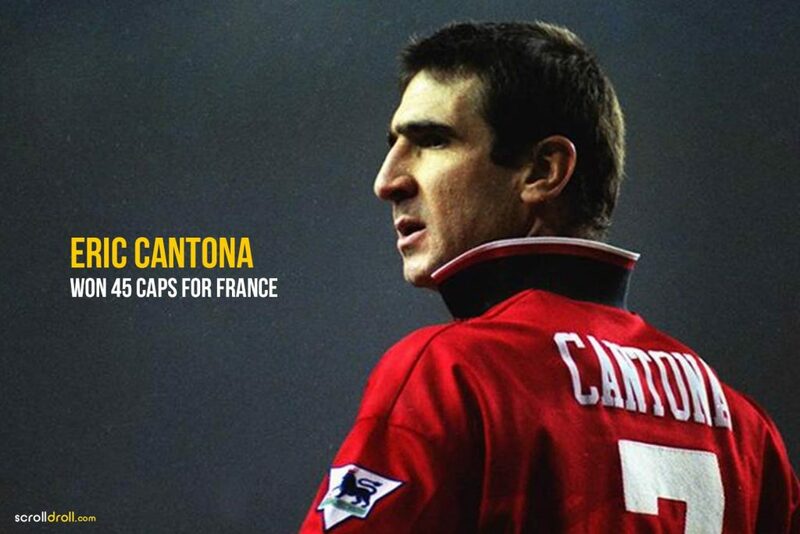 Cantona displayed masterful talent but never got to show it at World Cup. He joined Manchester United and uplifted it with his powerful play, winning four premier league titles and two FA Cups. 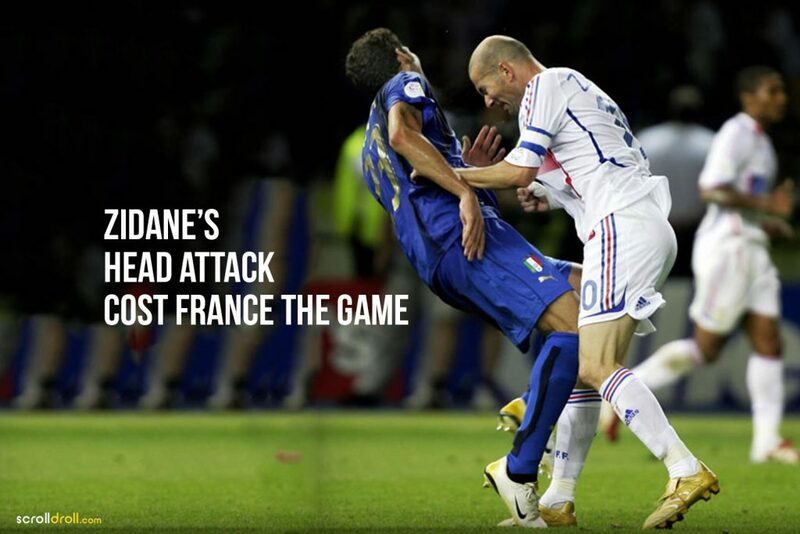 He also won 45 caps for France but couldn’t see it making to FIFA, before his retirement. Famous for his run at the Premier League with Manchester United, Cole won many trophies and played for top division of English football. 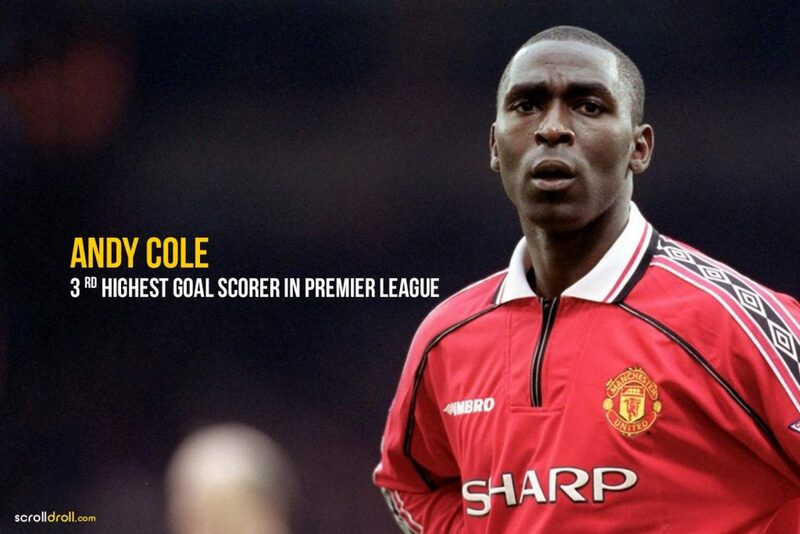 With 187 goals, he is the third highest scorer in Premier League. During his time, he also won PFA Young Player of the Year award, as well as the coveted UEFA Champions League title. 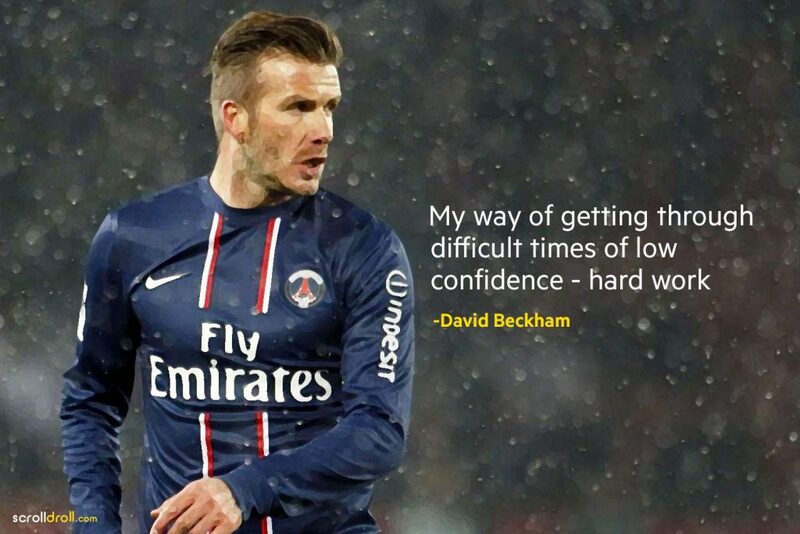 Sadly, he couldn’t qualify to the 2002 World Cup squad and announced his retirement shortly. 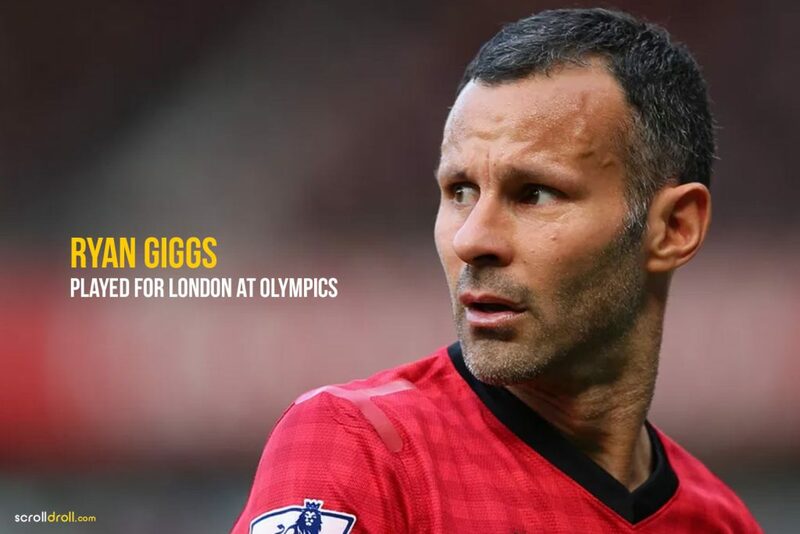 Besides displaying a powerful play for Manchester United, Ryan Giggs won 13 Premier League titles, 2 champions leagues, and 4 FA Cups. 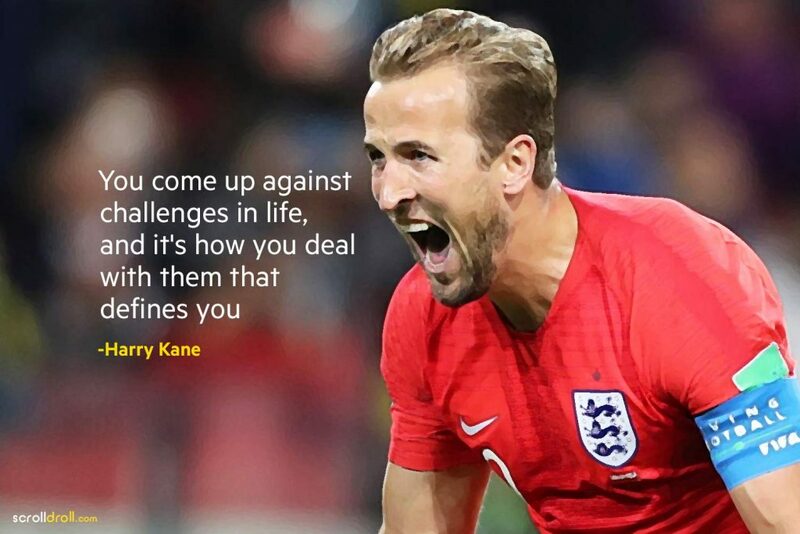 Unluckily, he played for Wales which didn’t have the power to qualify for superlative tournaments such as World Cup and Euro Cup during his time. Although, he represented London at 2012 Olympics. 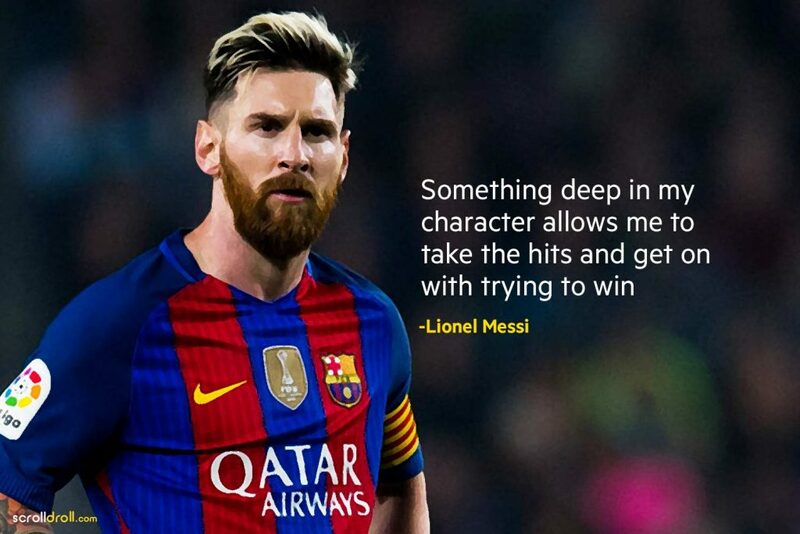 He is considered a symbol of Barcelona and one of the best players in the history of football. 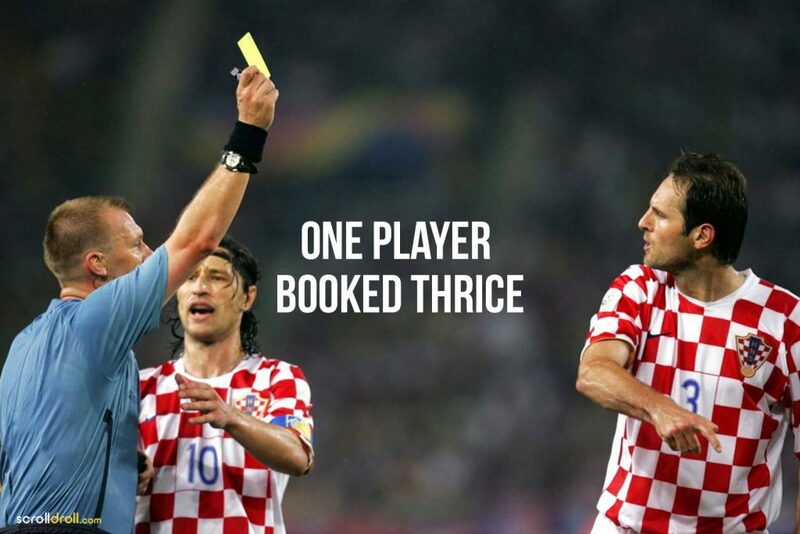 Despite representing 3 different countries, he never got a chance to play in the World Cup. 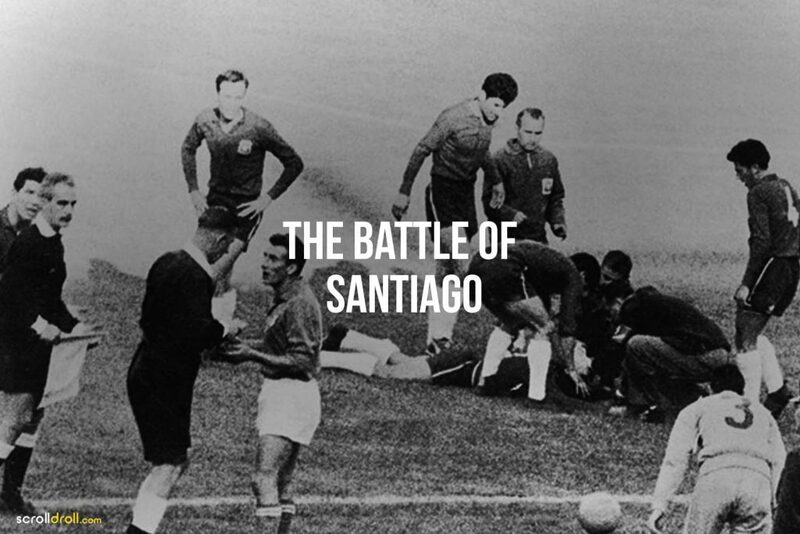 When playing for Spain, he qualified for 1962 FIFA squad but an injury averted his appearance. Later, he coached Spain and the Olympic team. Weah rose Africa to prominence. 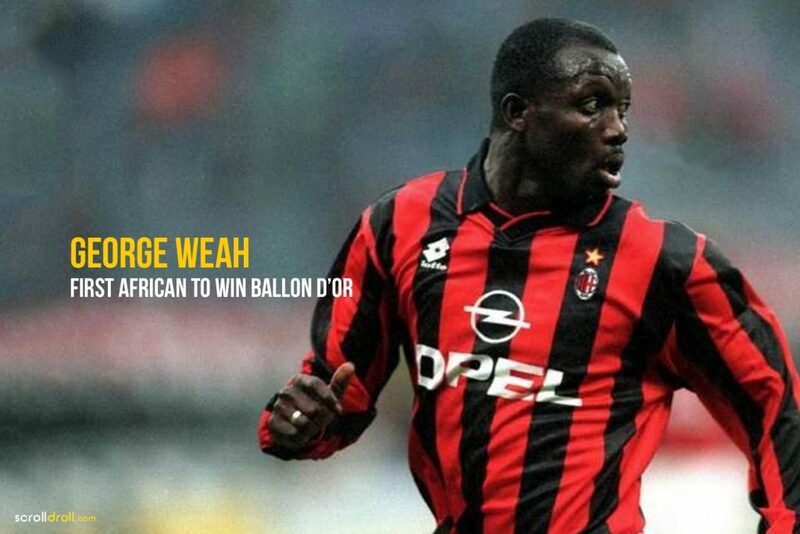 He was the first African to win Ballon d’Or and also won the best African player, thrice. In his career, he struck 22 goals but couldn’t realise his dream to play the World Cup as his national team (Lieria) never qualified. 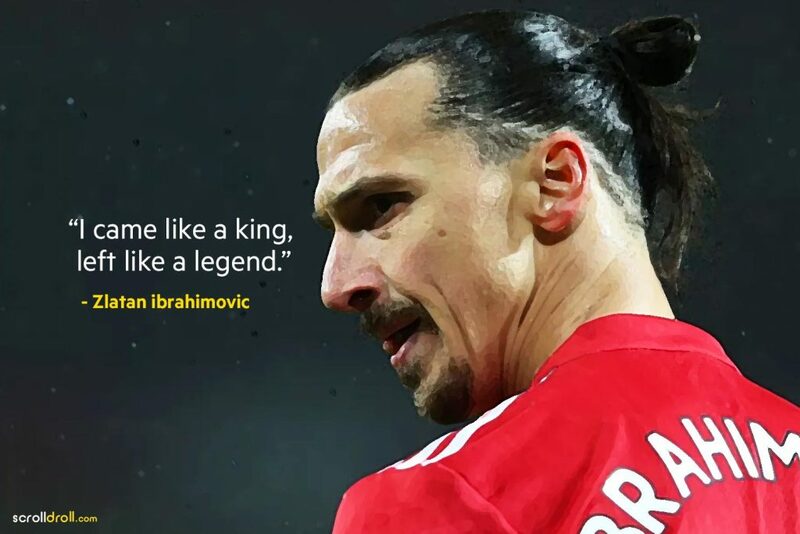 He was a football legend who entertained fans like no other. Many MU fans called him their own son. 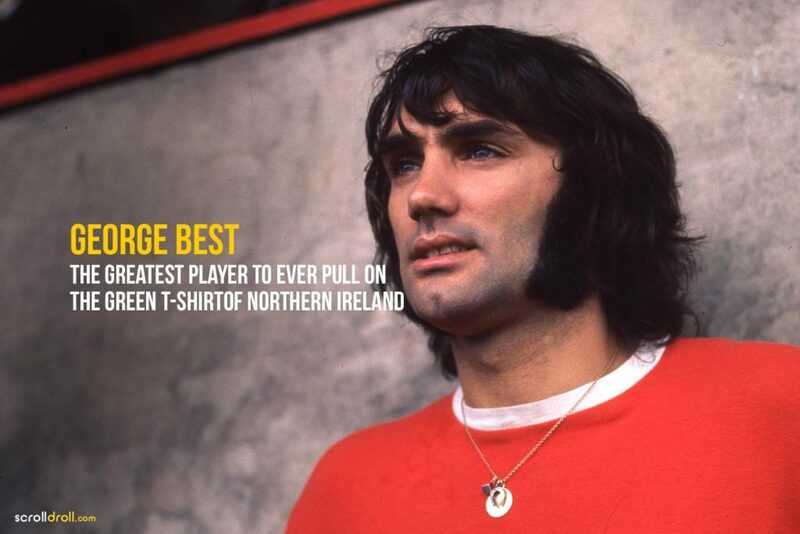 Even the Irish Football Association named him “the greatest player to ever pull on the green t-shirt of Northern Ireland”. He shared an utmost passion for the game but when Northern Ireland reached the World Cup, Best couldn’t qualify due to his age. 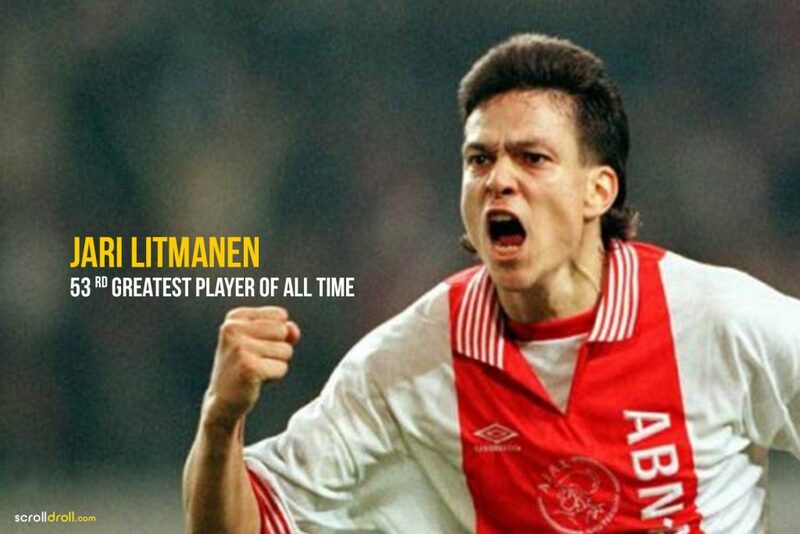 Often considered the greatest Finnish player of all time, Litmanen earned 137 caps and 37 goals in his career. Unfortunately, Finland could never qualify for the World Cup and even a superstar like Litmanen couldn’t change that. 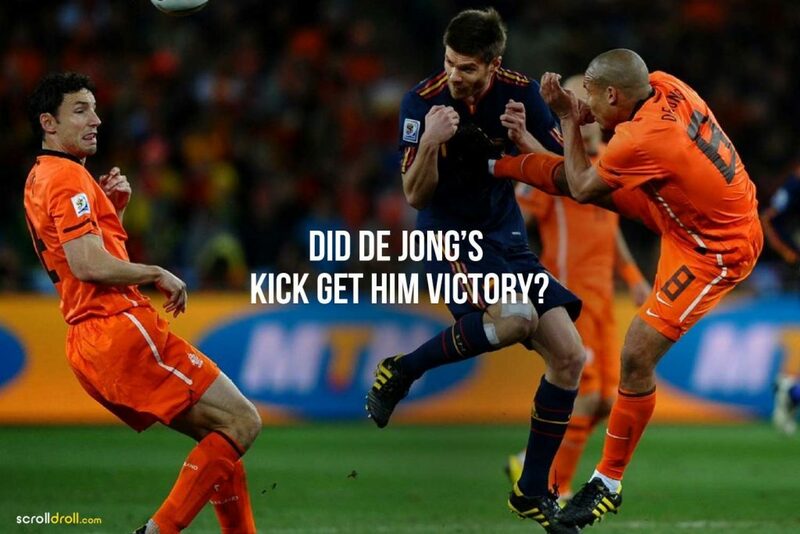 Still, he won five league titles in Holland, UEFA Cup, Champions League and 14 other trophies and titles. 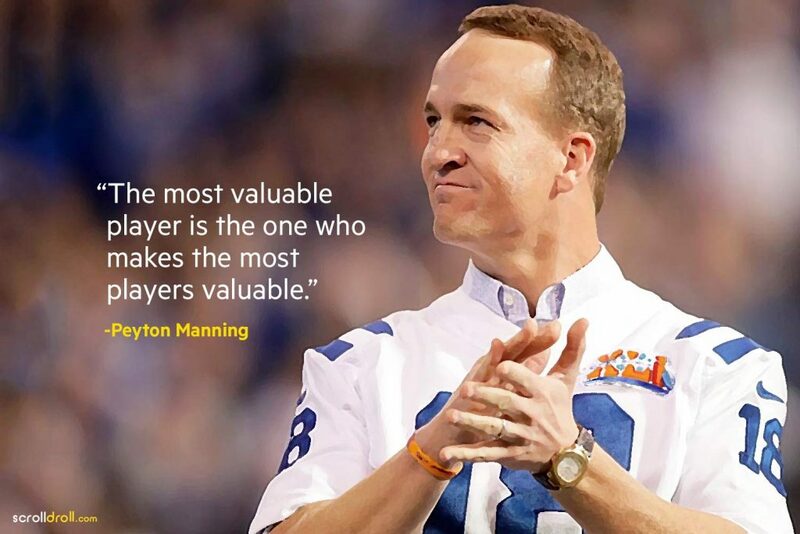 He was also named the 53rd greatest player of all time. 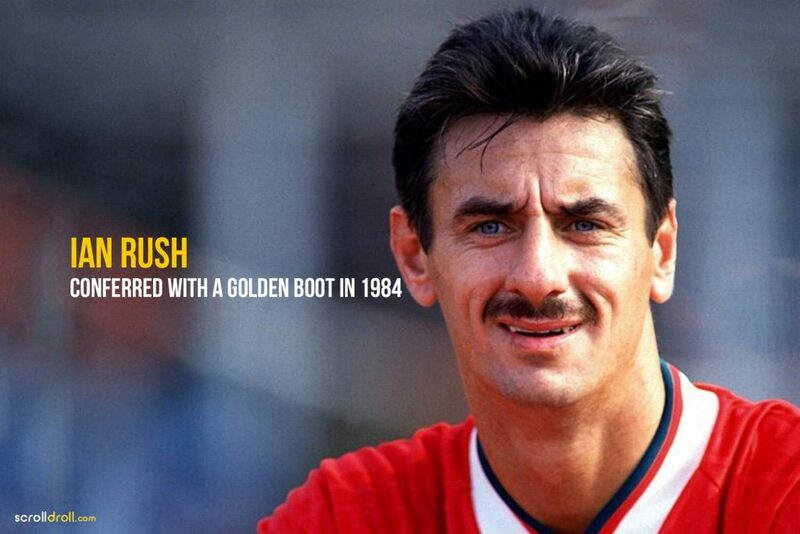 With 346 goals, Rush is Liverpool’s top scorer. He was also the club’s third greatest player of all time, according to a fans’ poll. 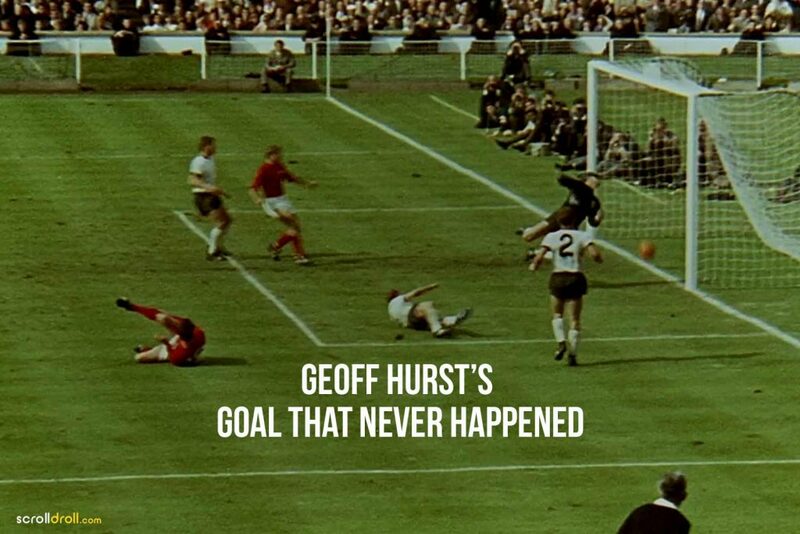 With a prolific run at Anfield, 2 FA Cups as well as a Golden Boot in his name, Rush earned 73 caps for Wales but never got a chance to play in World Cup. 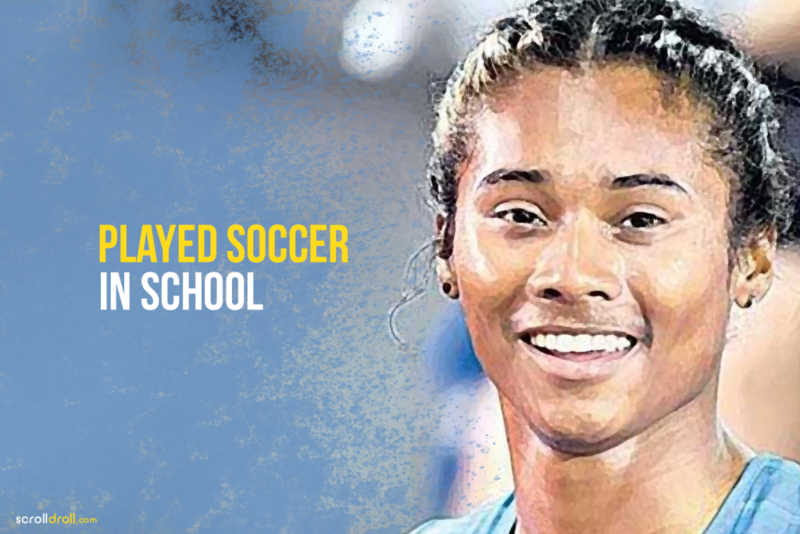 These extraordinary footballers showed immense skill and tact during their sporting career! But, sadly couldn’t showcase their mastery at the master of all tournaments. 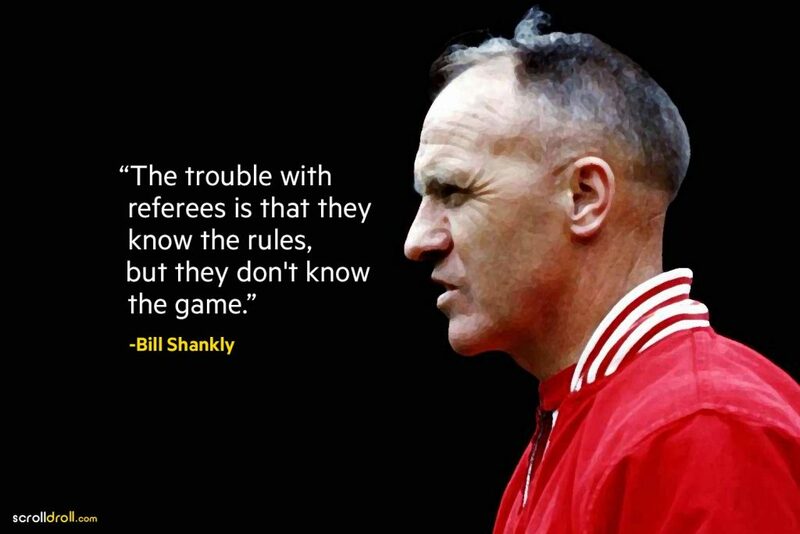 Still, they are remembered for their adept play and set a high standard for players to come! 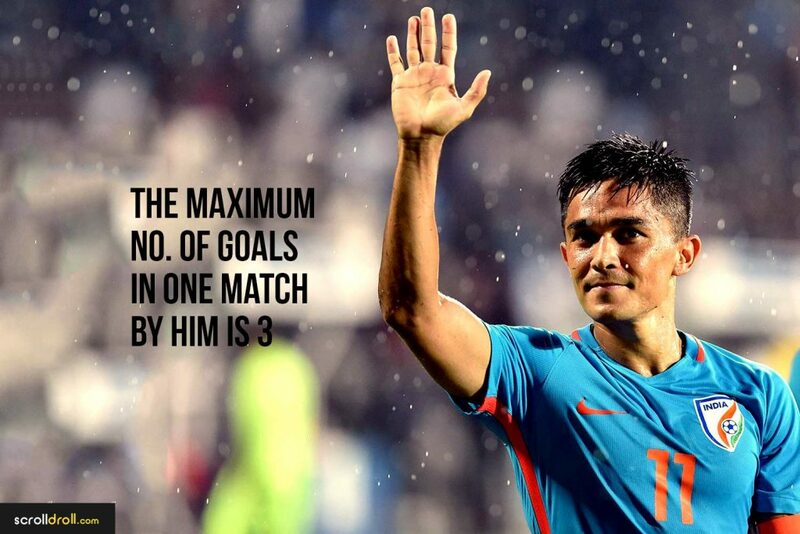 The post 10 Interesting Facts About The Best Indian Footballer- Sunil Chhetri appeared first on ScrollDroll. 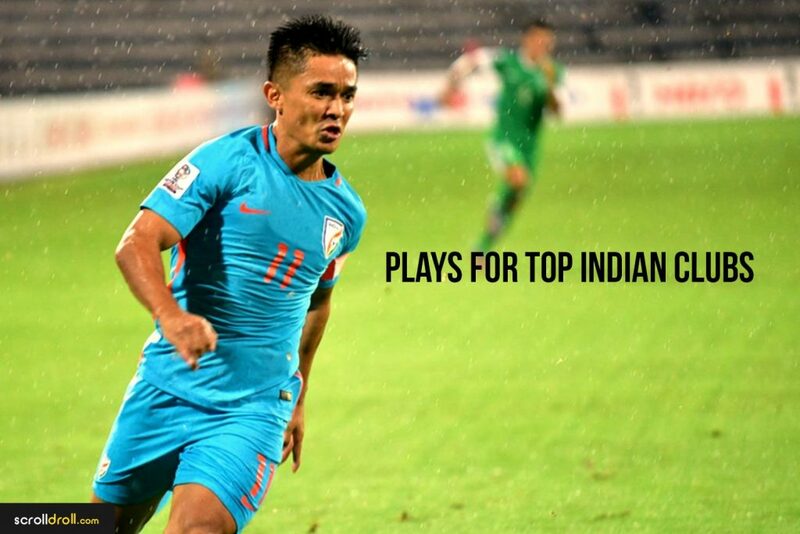 His A dynamic striker and shrewd captain, Sunil Chhetri has shined bright with his exceptional play in international football. As Indians’ love for cricket overshadows other sports, Chhetri even released a video urging Indians to attend football matches. 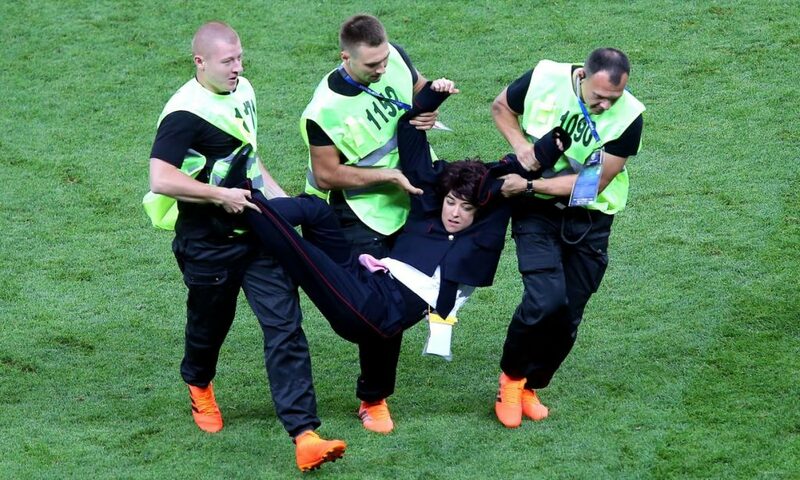 People honoured his appeal by filling up the stadium. It earned Chhetri a lot of media coverage, but this video shouldn’t be his identifier. He has excelled in football throughout his career and is one of the most talented footballers of India. To know more about him, check out these interesting facts! 1) Highest in the world! 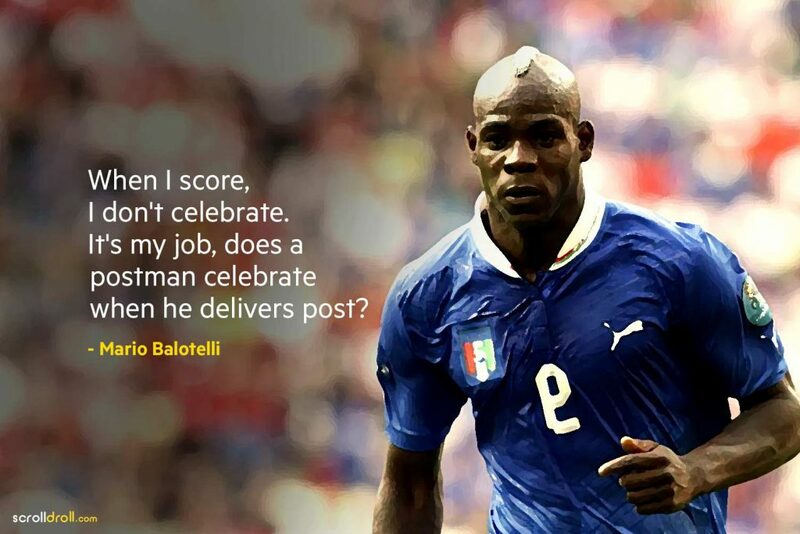 Among current players, he is the third highest goalscorer in international football. 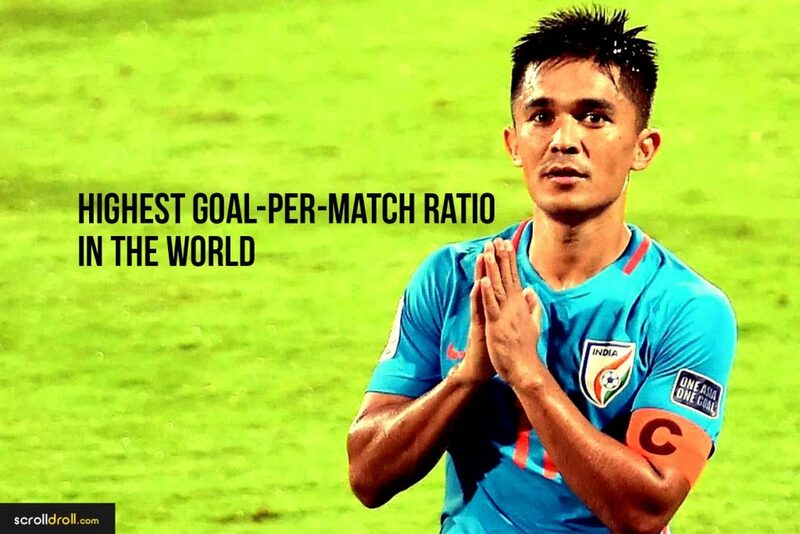 With 64 goals, Chettri is behind Messi’s 65 and Ronaldo’s 85. 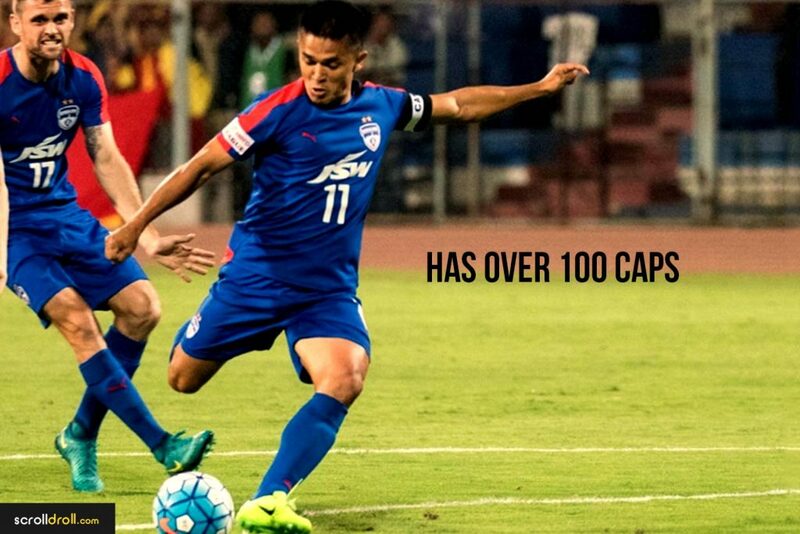 With 101 caps, Sunil Chhetri is the second Indian footballer after Baichung Bhutia (104) to have over 100 international caps. 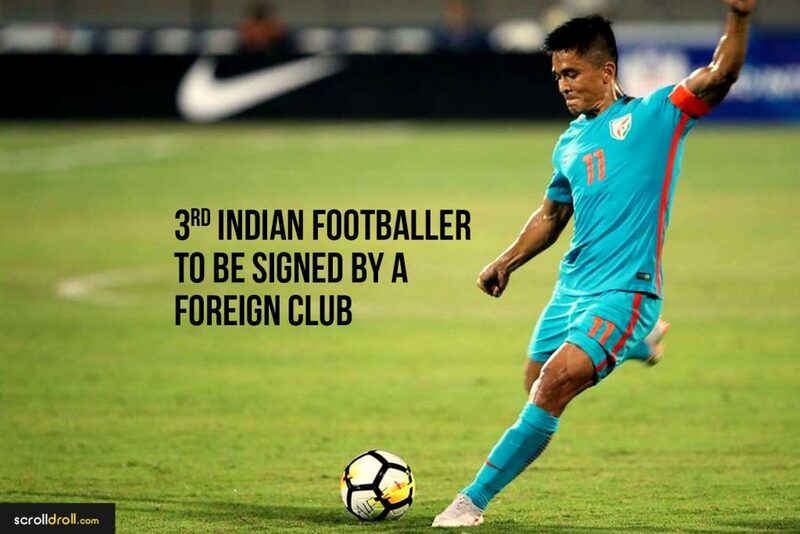 In 2010, Chhetri became the third Indian player to be signed by a foreign club. He joined Kansas City Wizards of Major League Soccer and Sporting Clube de Portugal of the Primeira Liga. 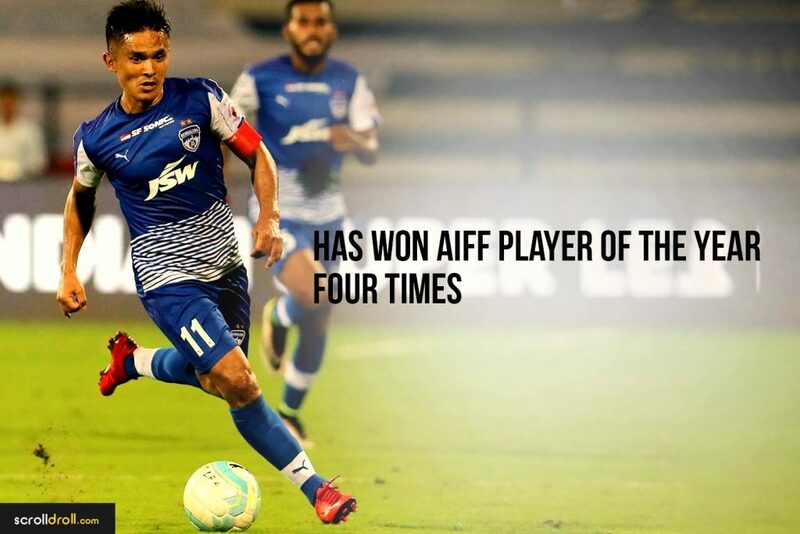 Chhetri has won the estimable All India Football Federation (AIFF) Player of the Year four times- 2007, 2011, 2013 and 2014. 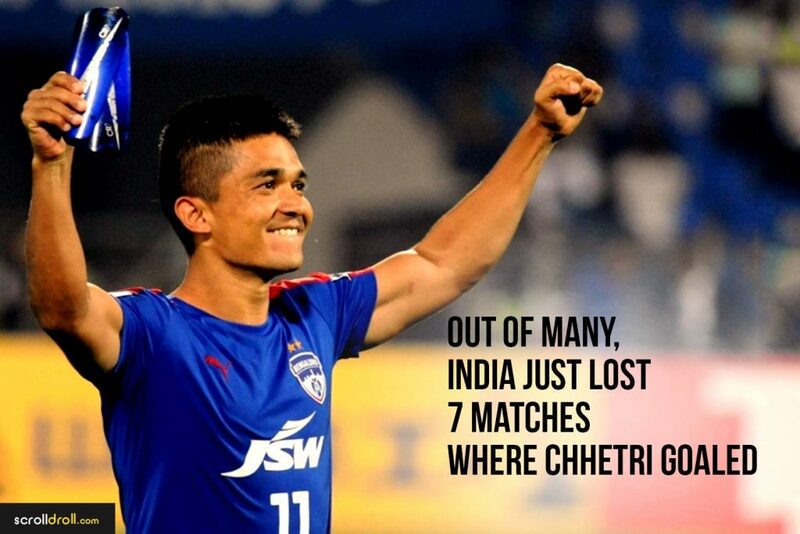 India has only lost 7 matches in which Chhetri has scored a goal. His mother Sushila Chhetri and his sisters represented Nepal in the national soccer team. 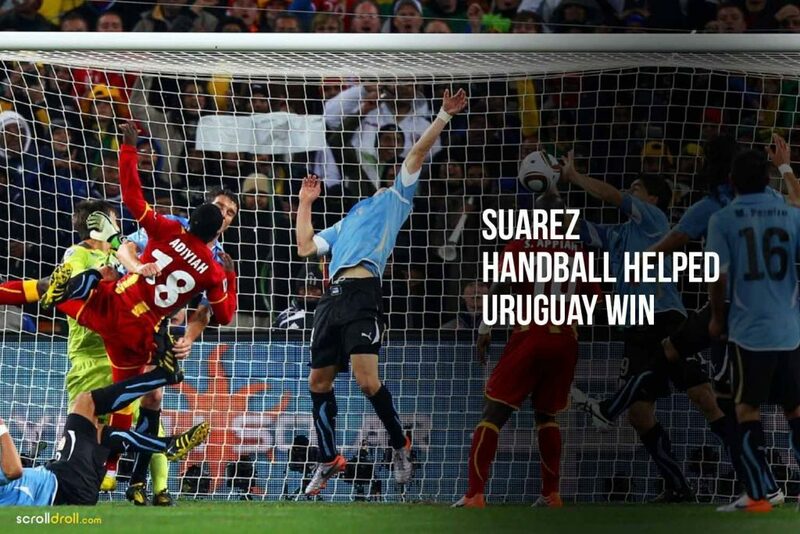 The maximum number of goals hit by him in a single match is 3 – against Chinese Taipei. For his tremendous performance, Chhetri was honoured with Arjuna Award in 2011 which he dedicated to his family. 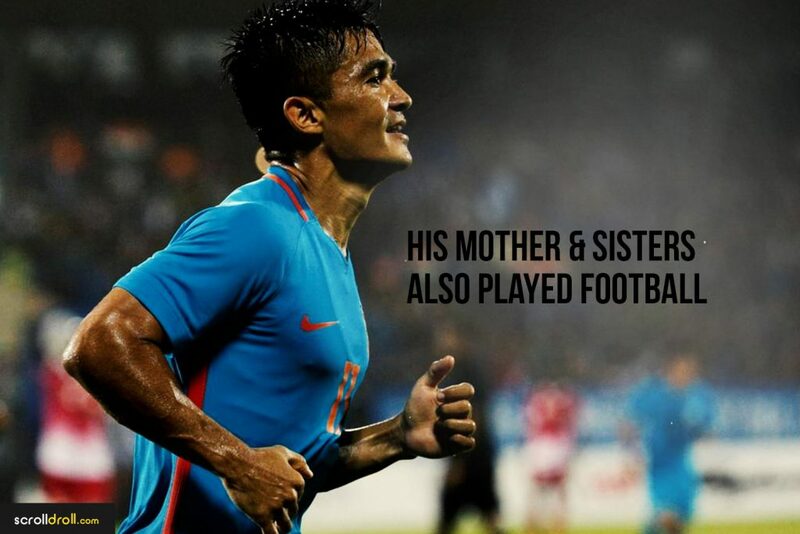 Coming from a family of soccer players, it’s no wonder Chhetri grew up loving football. With his acute leadership, he has led Indian football team to many wins. And, we’re sure he will be maintaining this consistent record in future.